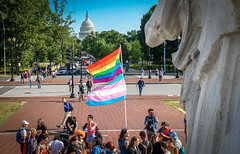 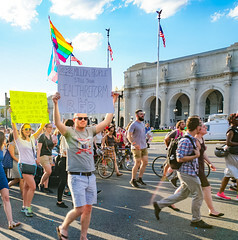 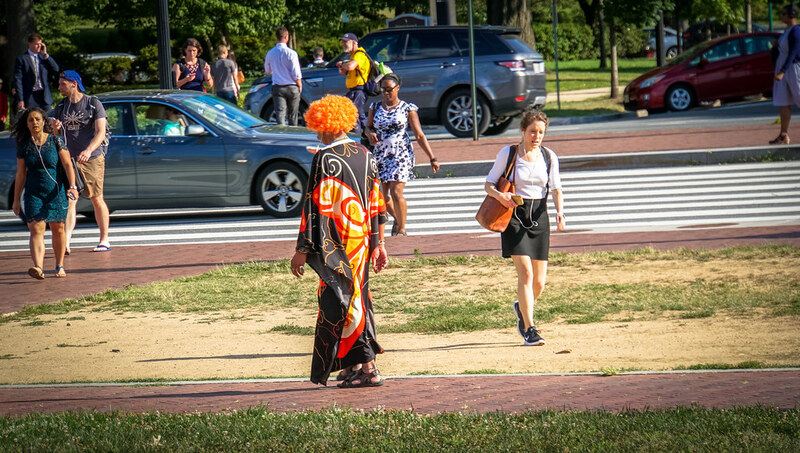 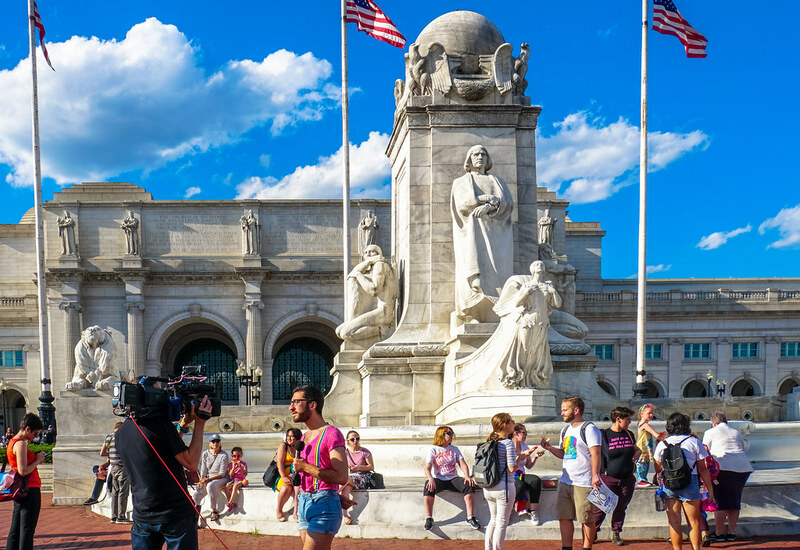 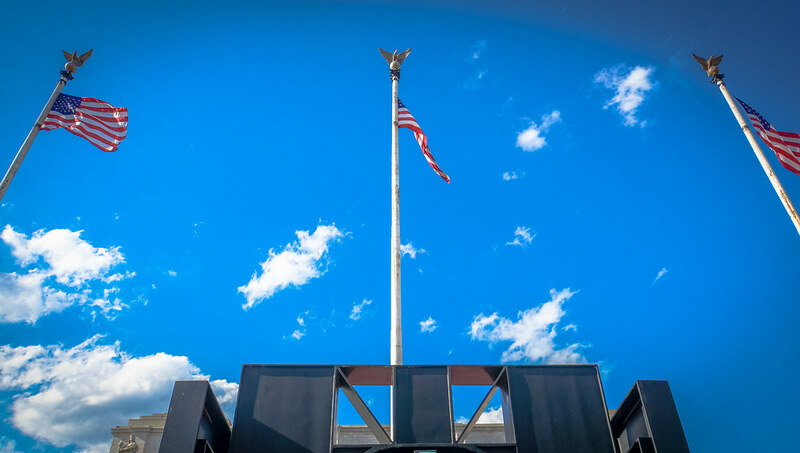 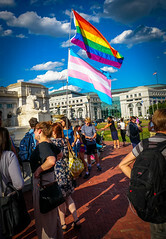 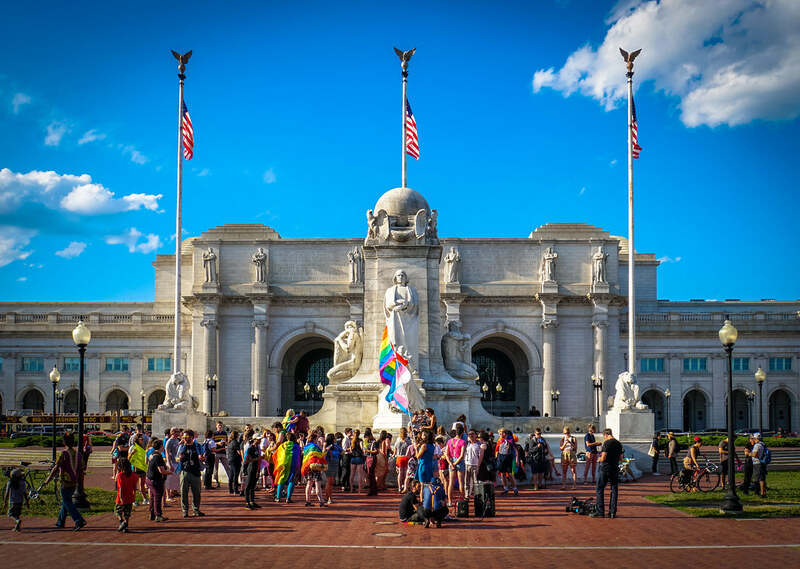 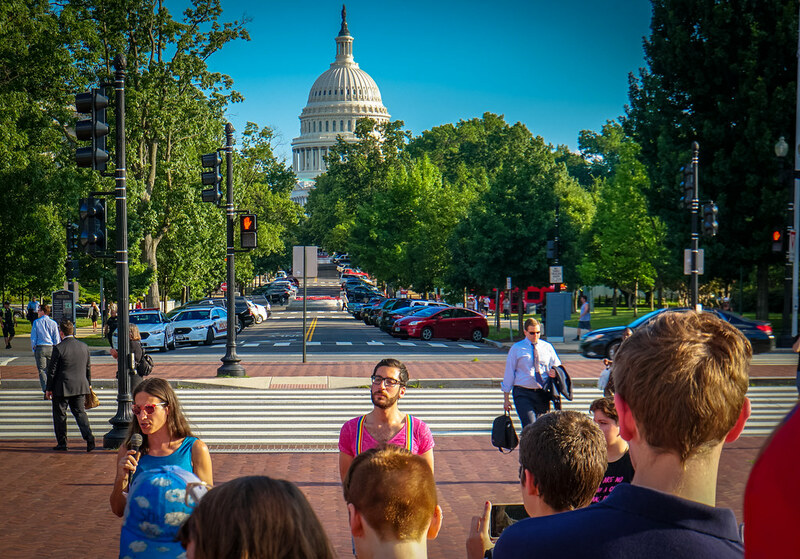 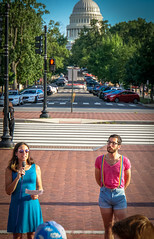 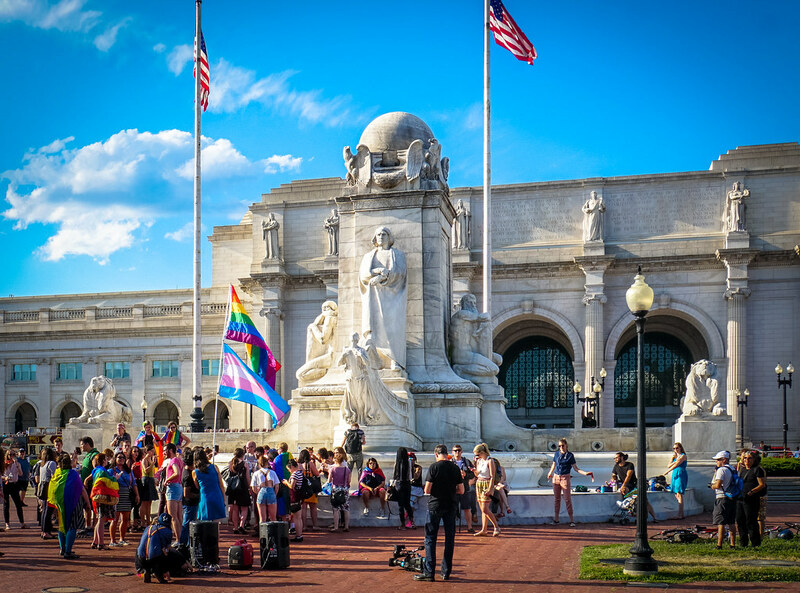 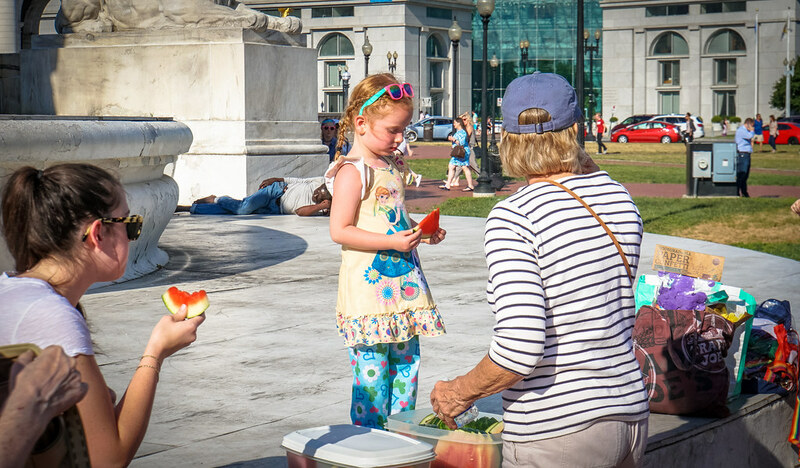 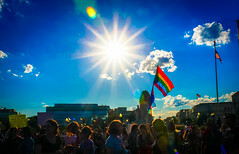 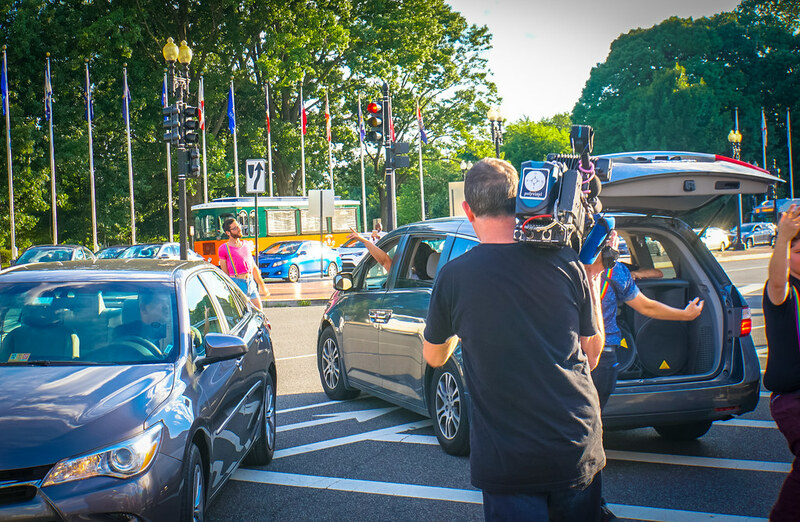 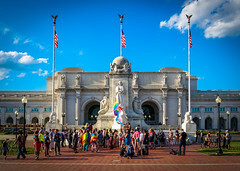 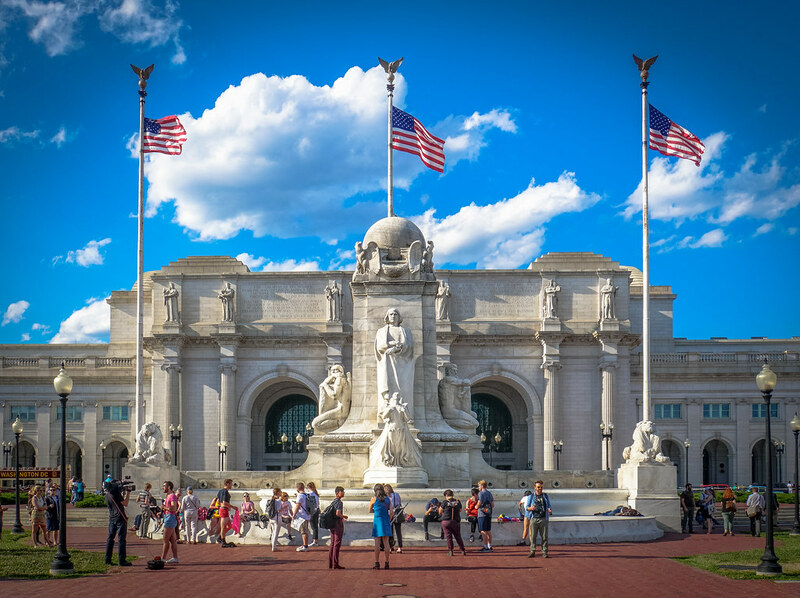 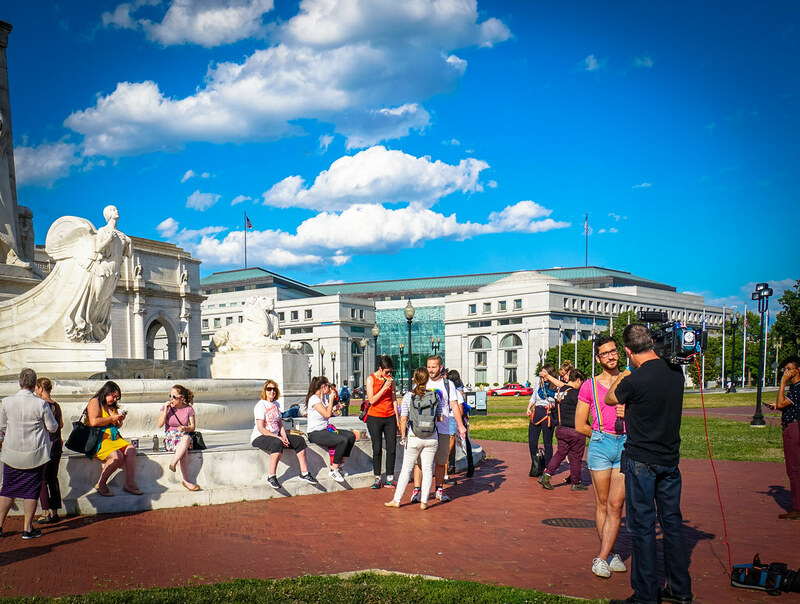 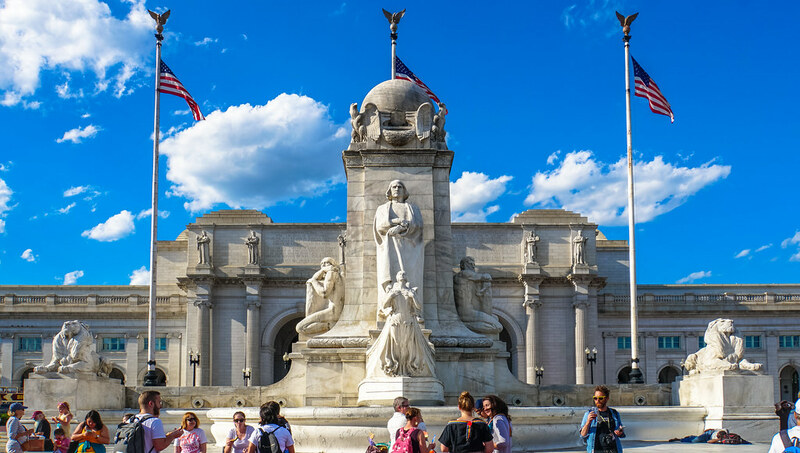 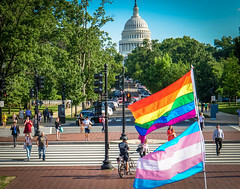 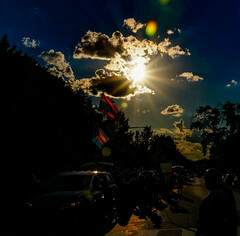 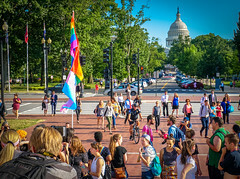 This week’s photograph was taken in Washington, DC (naturally), in front of Union Station, at the beginning of the WERK for Your Health – at Mitch McConnell’s House! 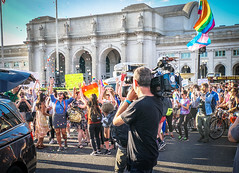 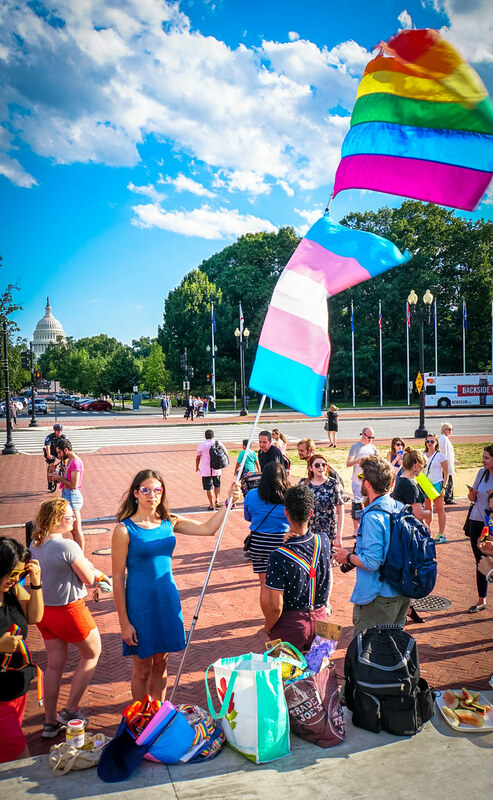 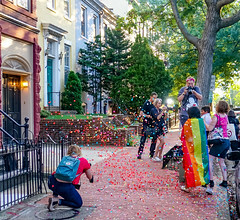 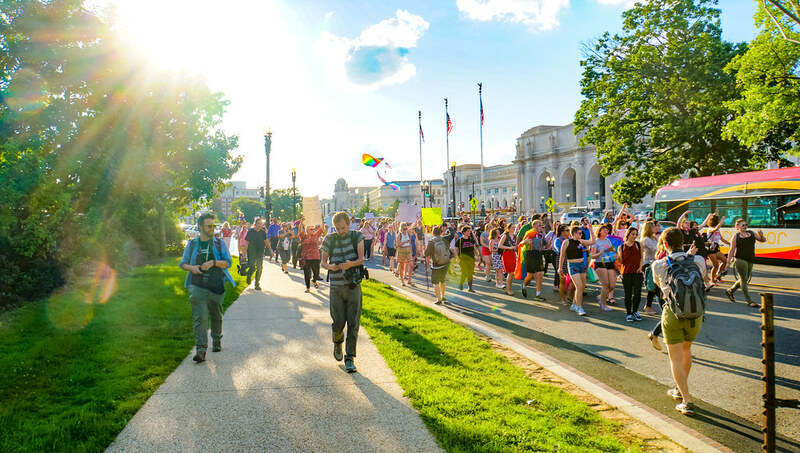 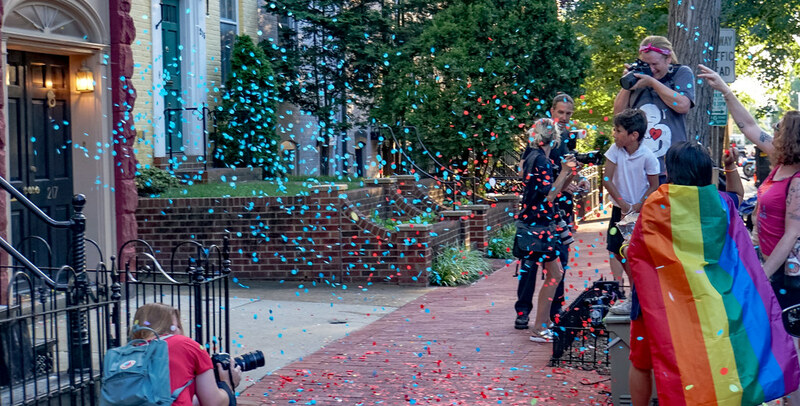 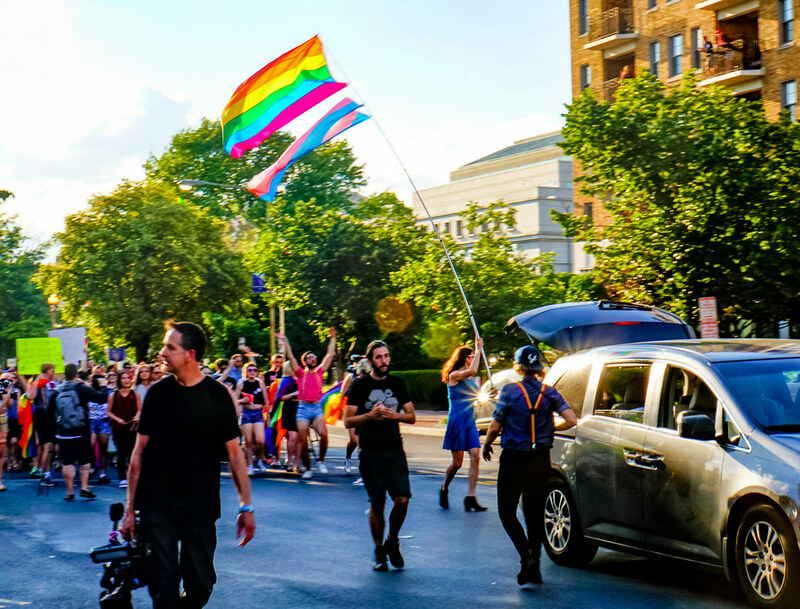 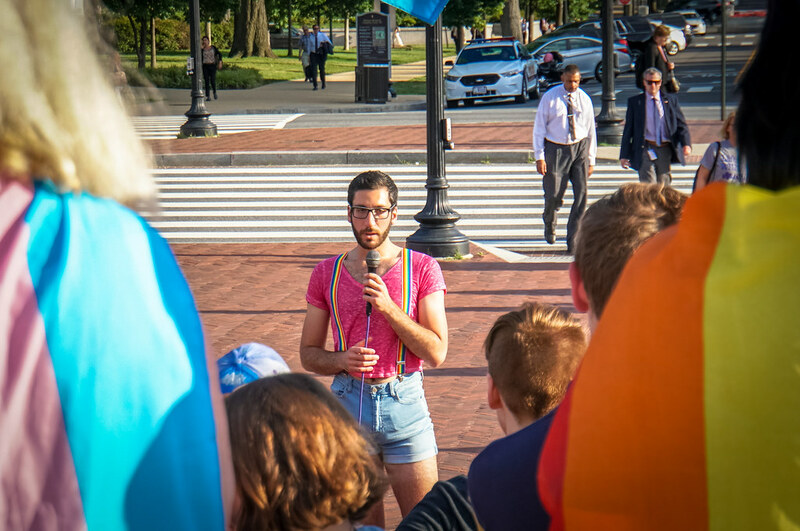 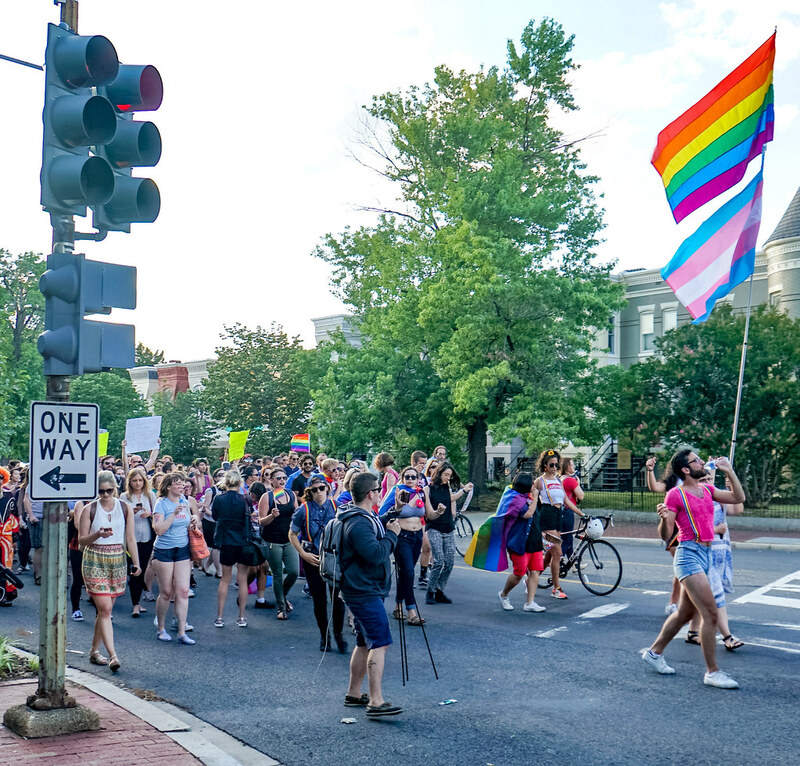 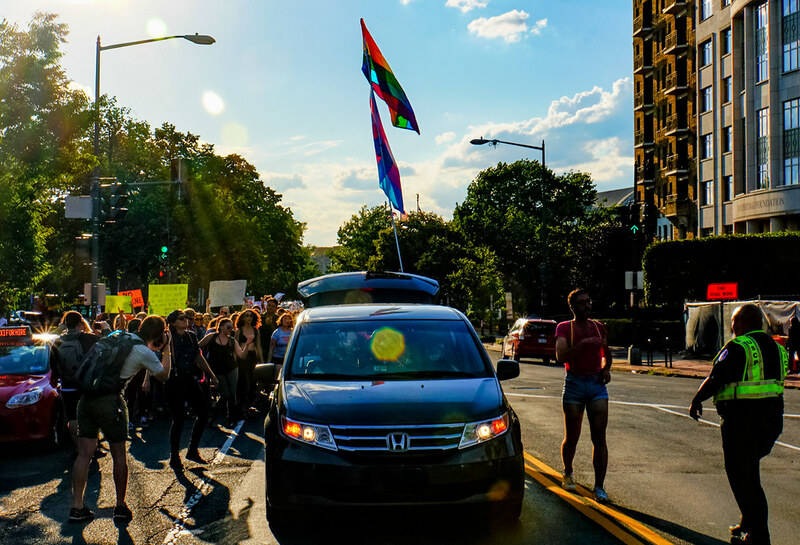 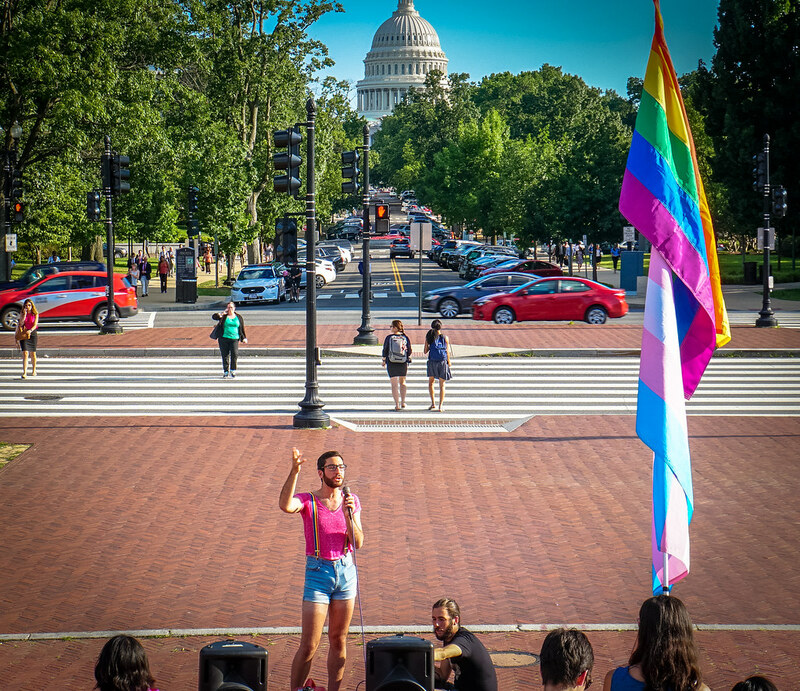 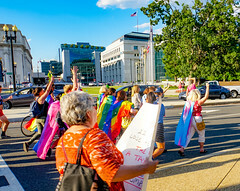 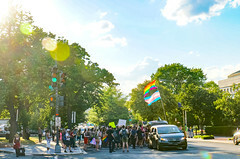 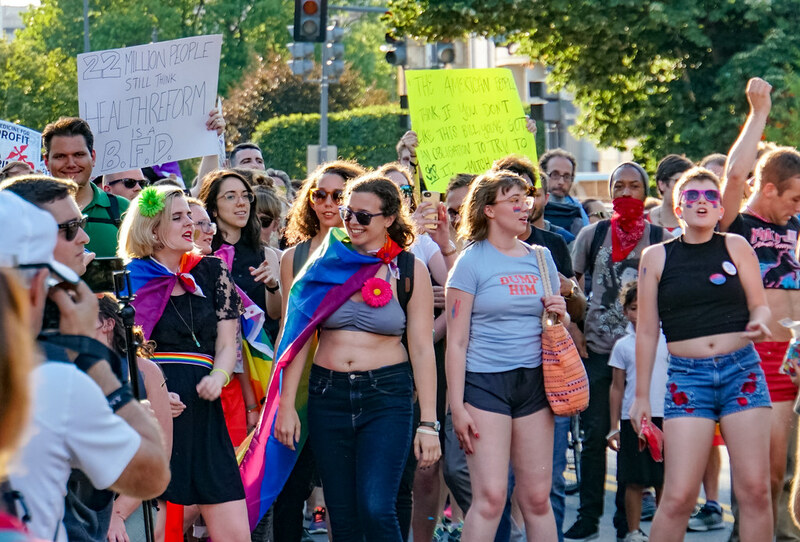 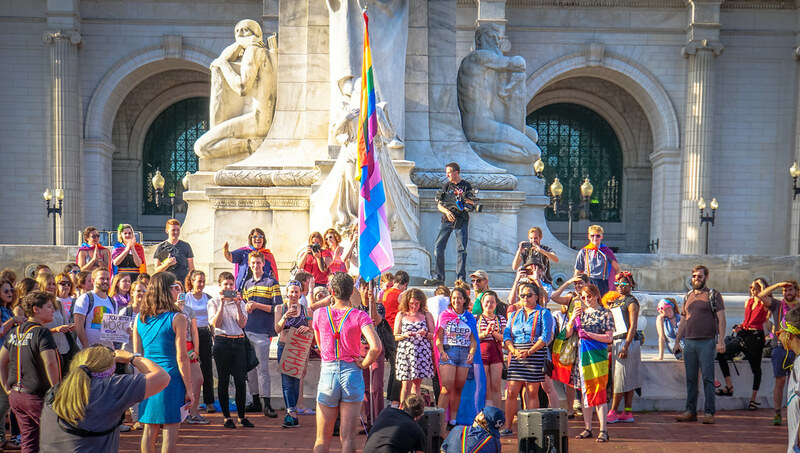 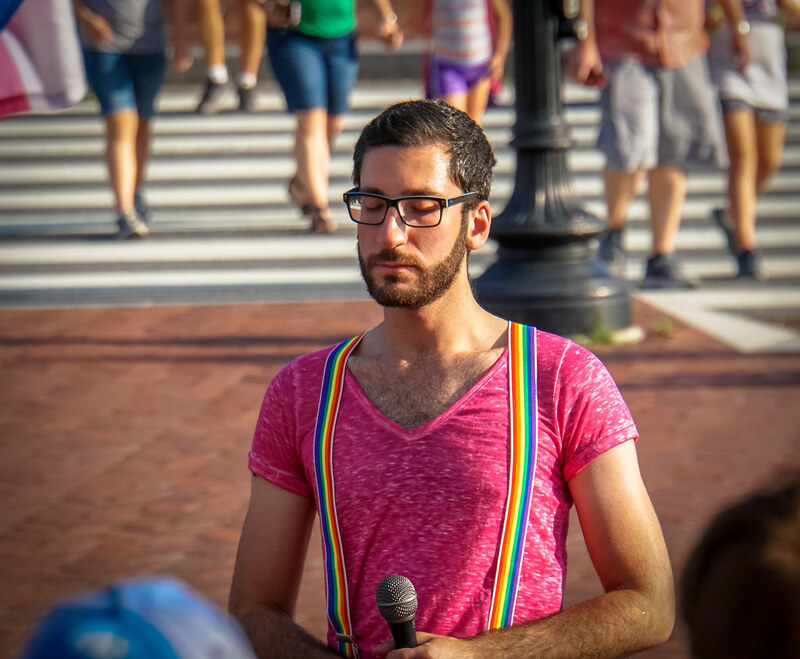 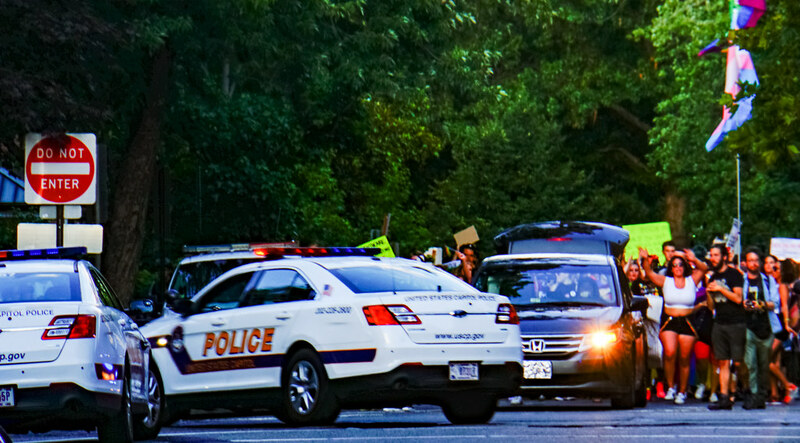 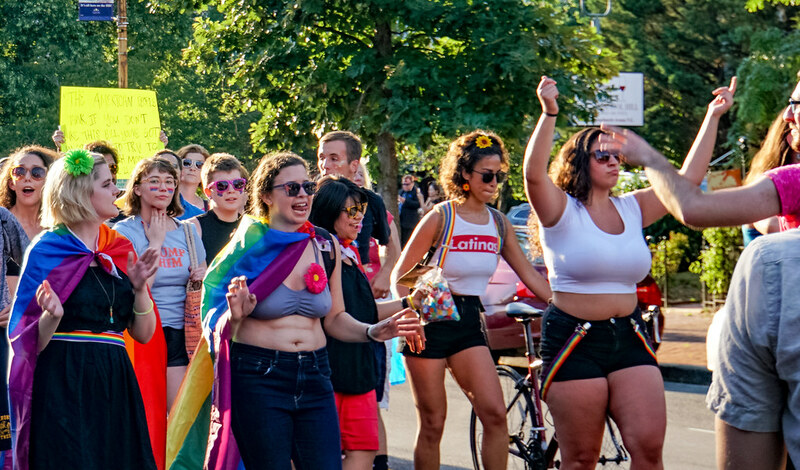 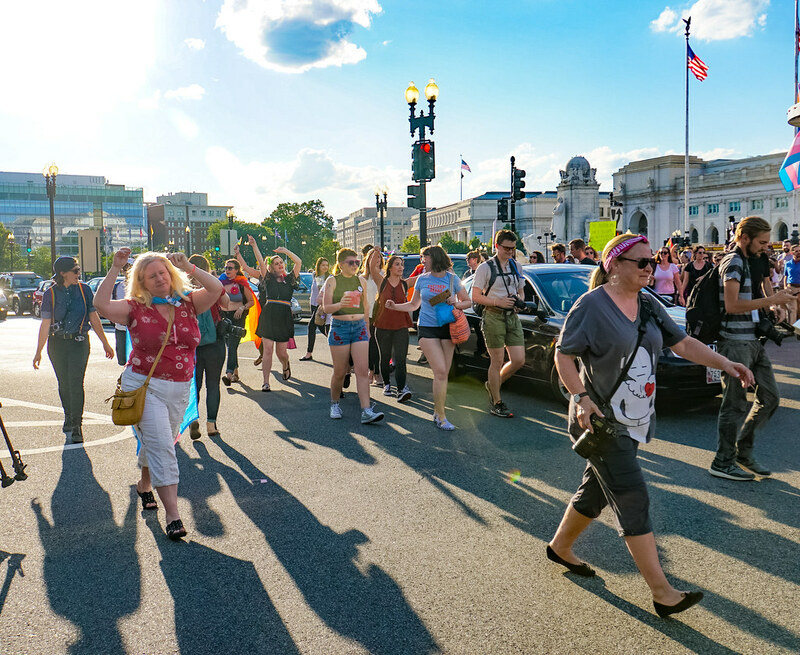 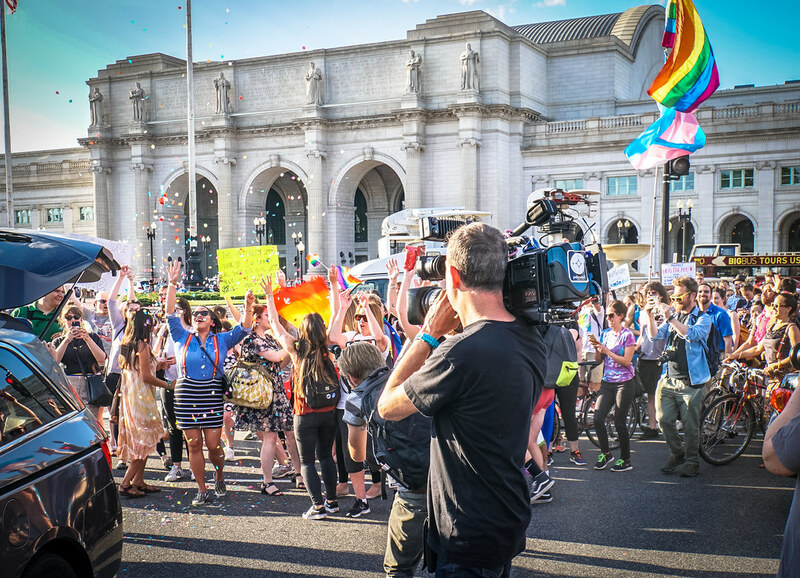 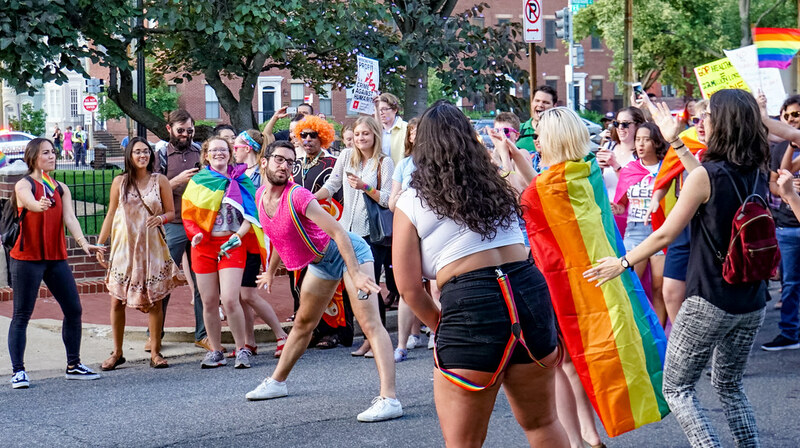 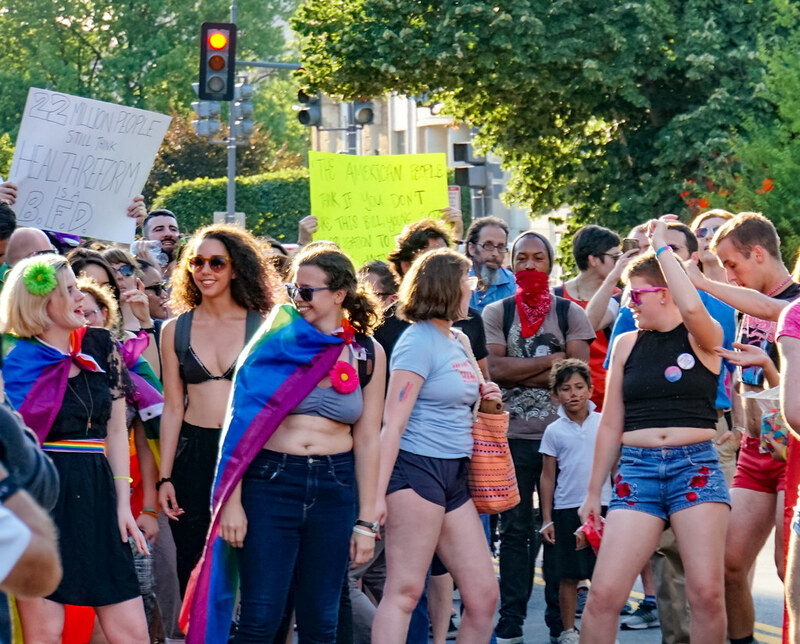 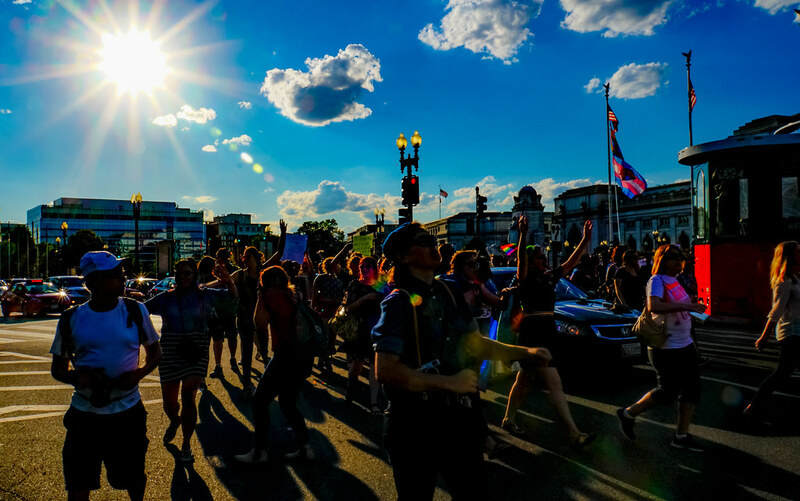 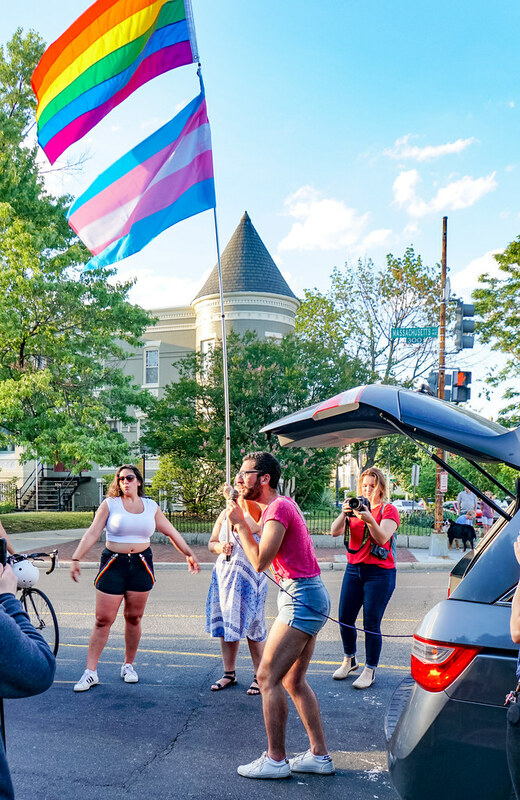 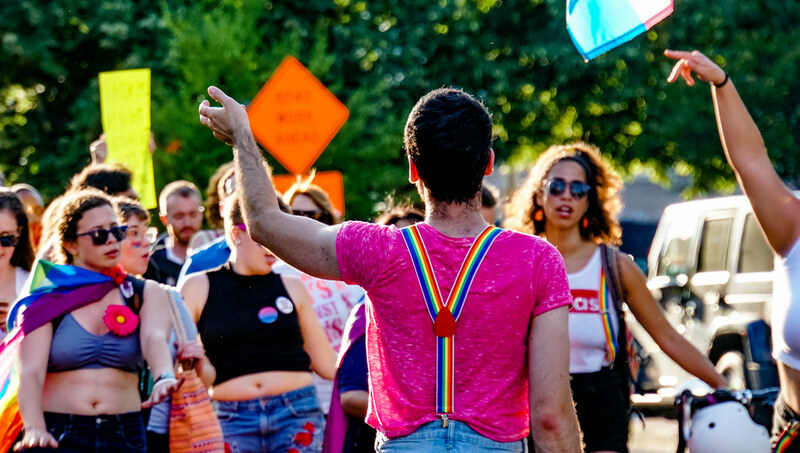 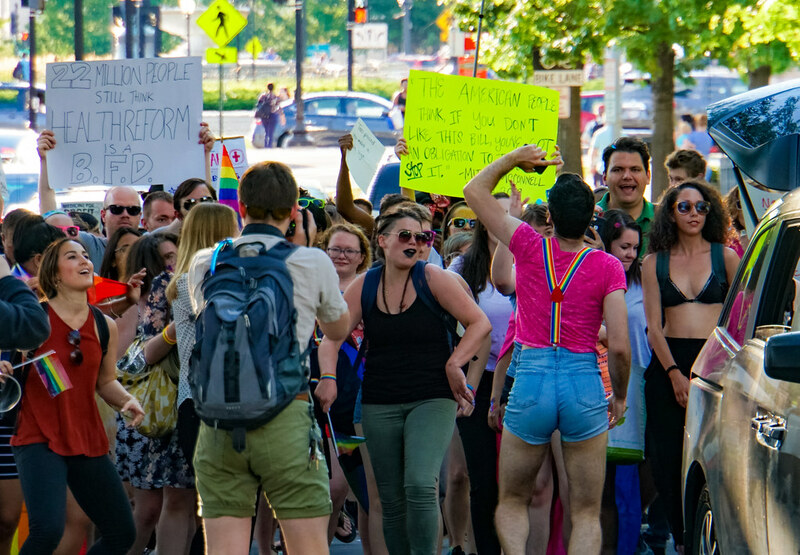 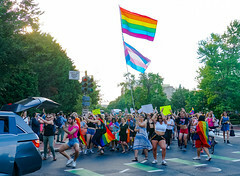 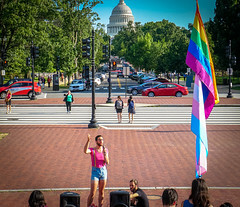 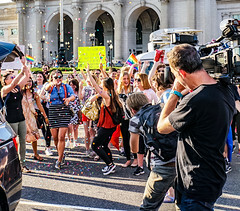 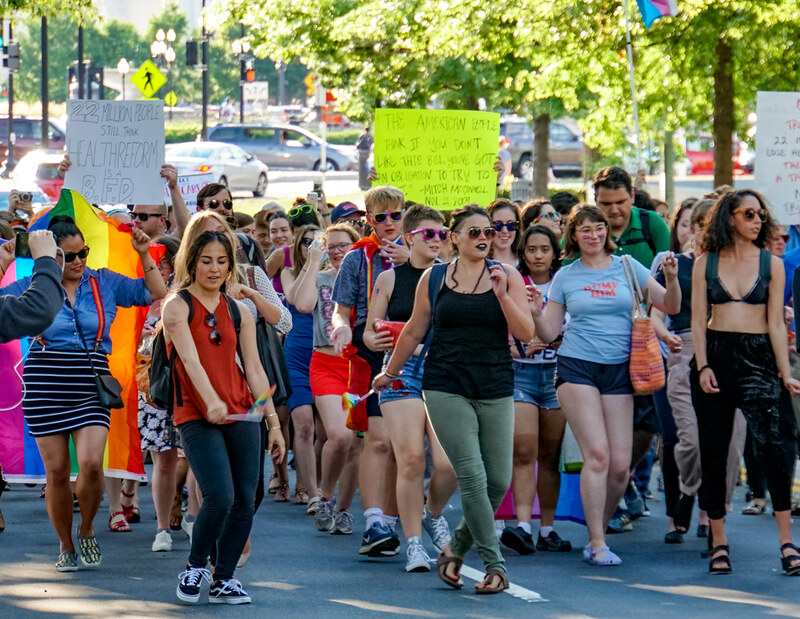 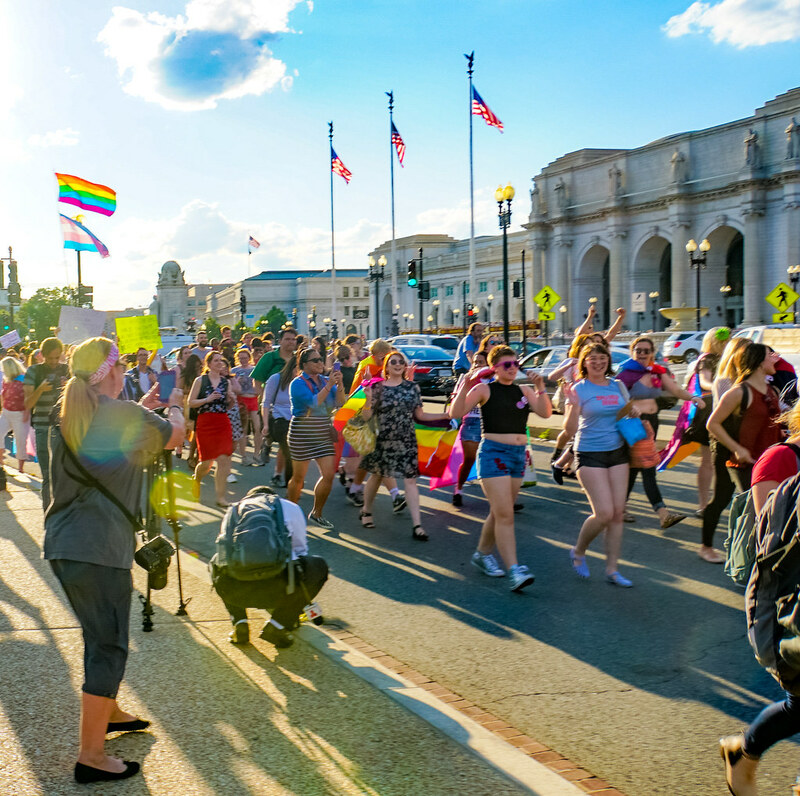 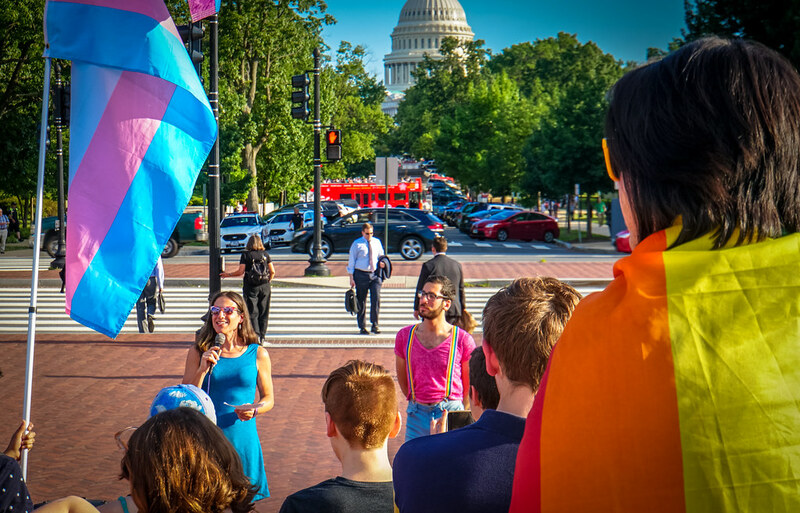 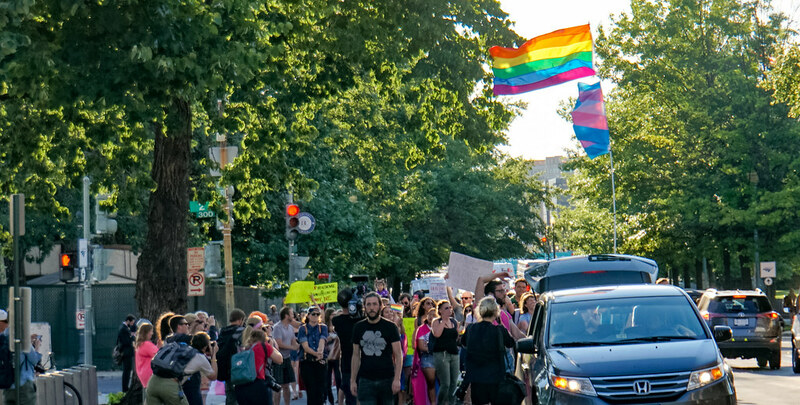 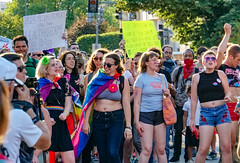 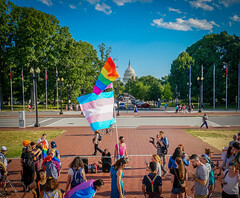 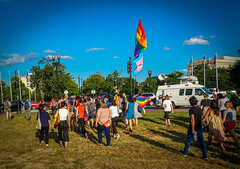 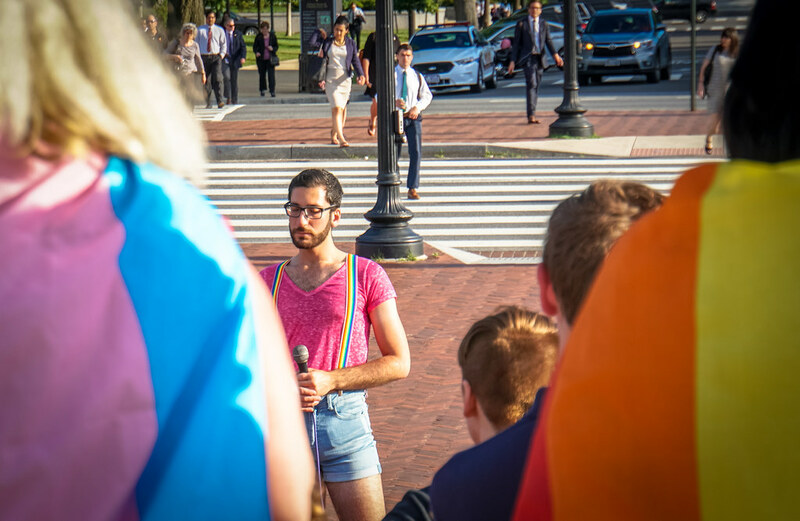 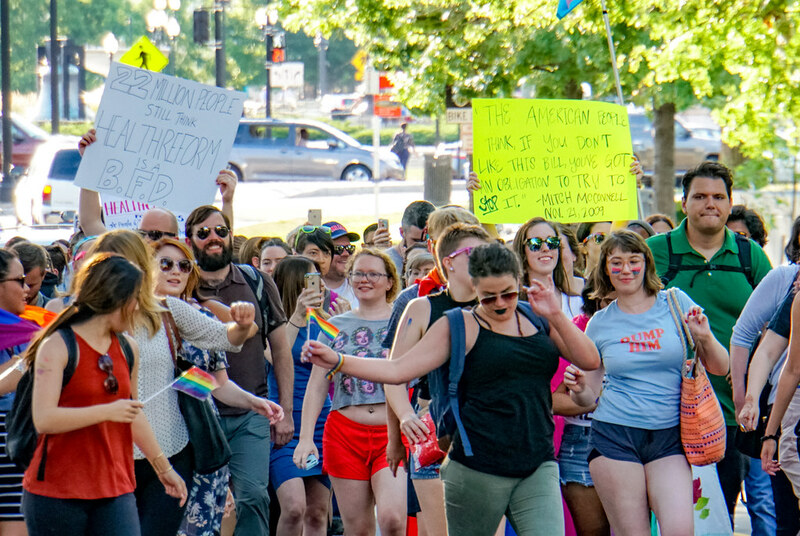 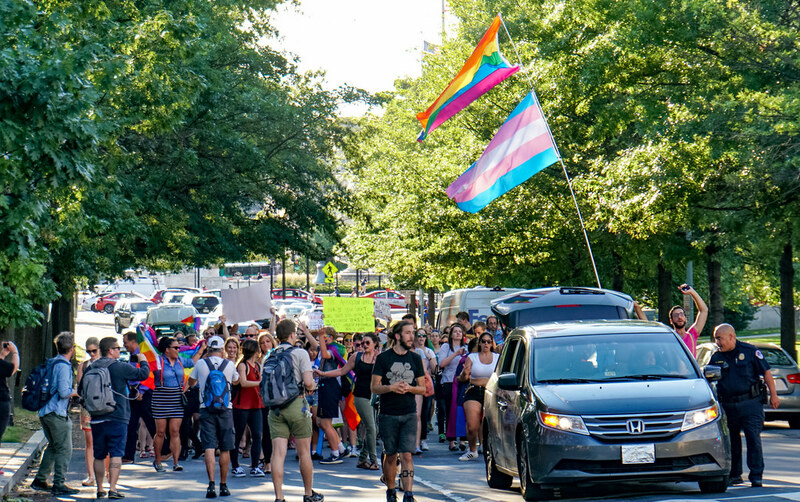 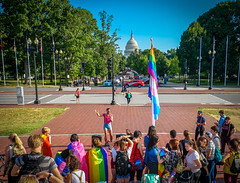 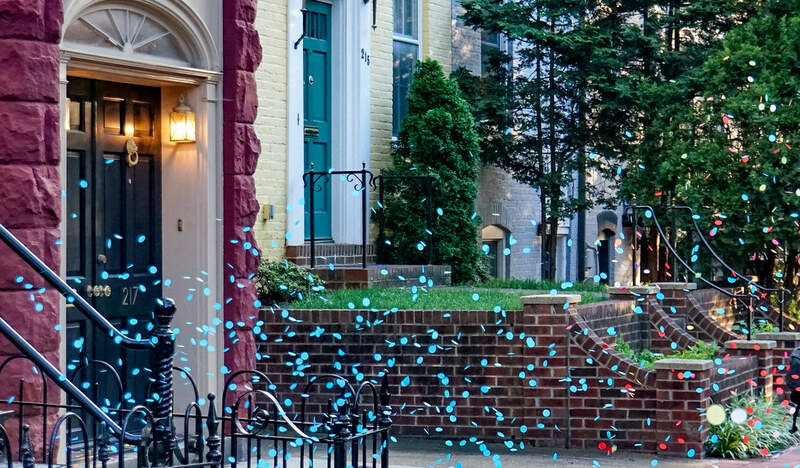 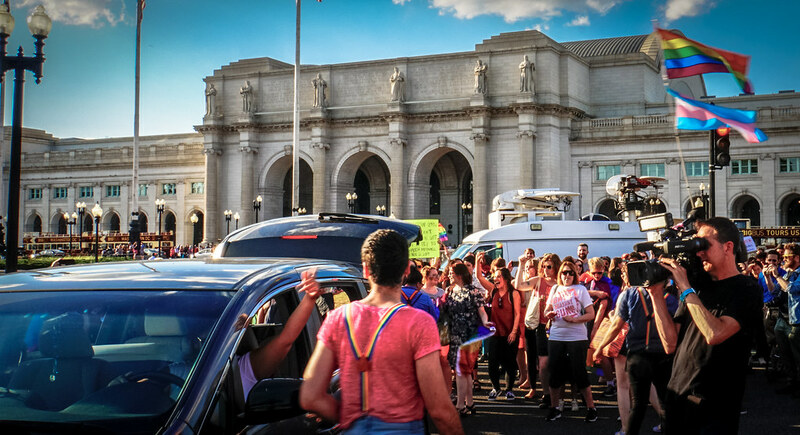 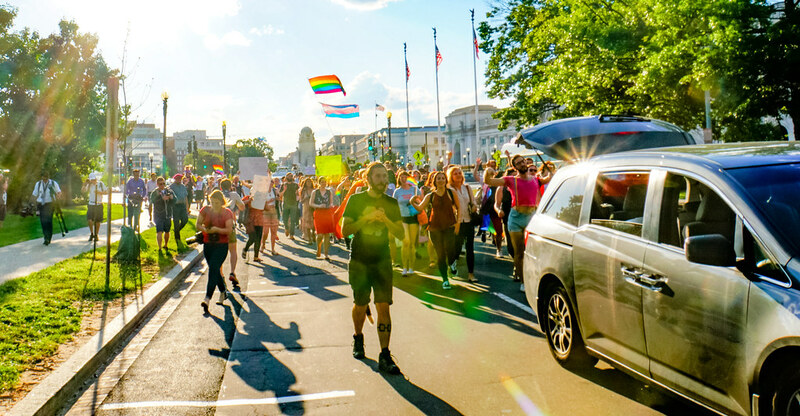 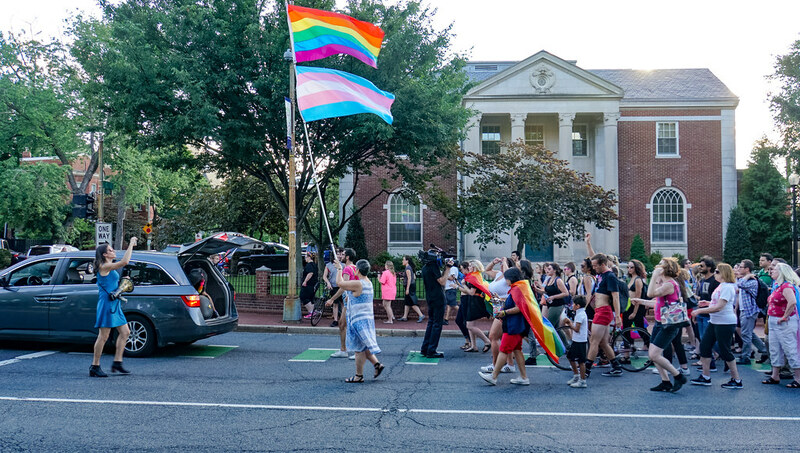 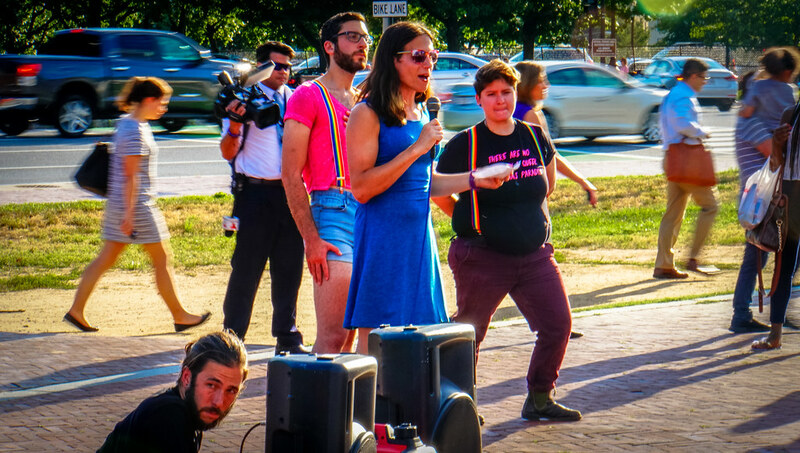 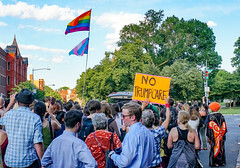 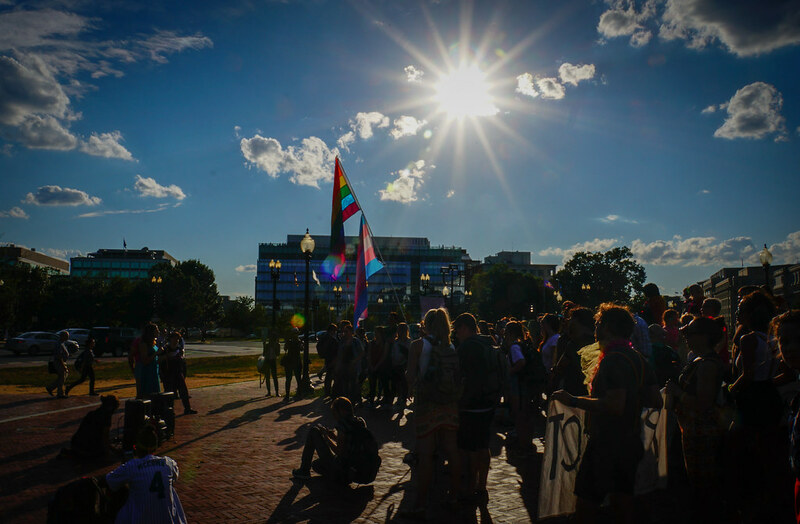 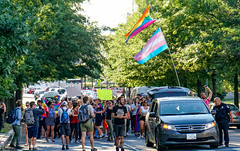 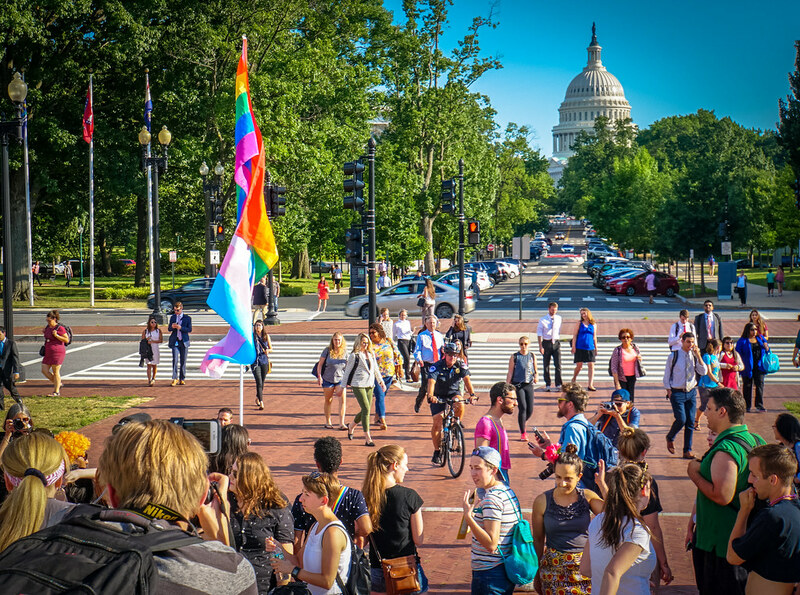 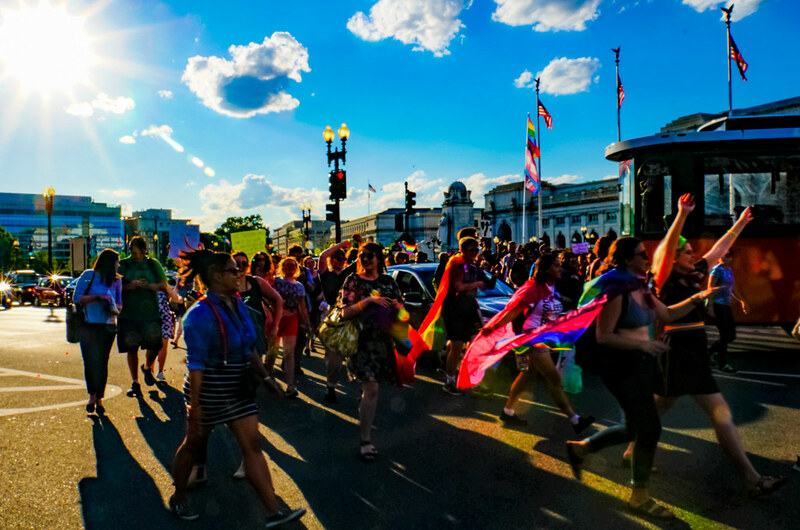 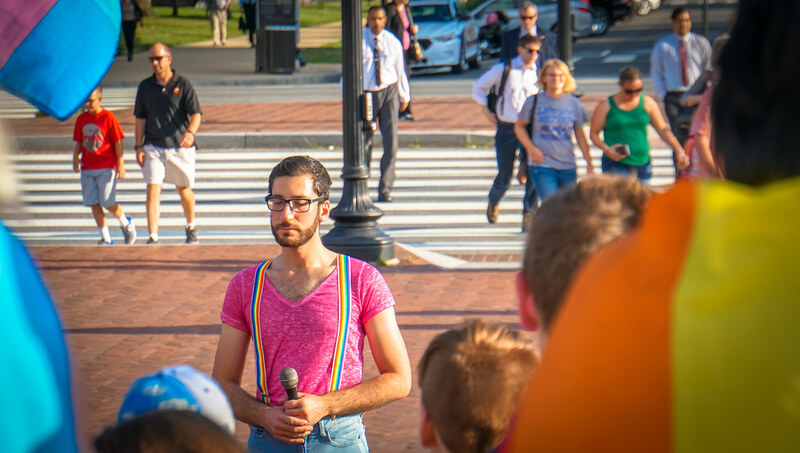 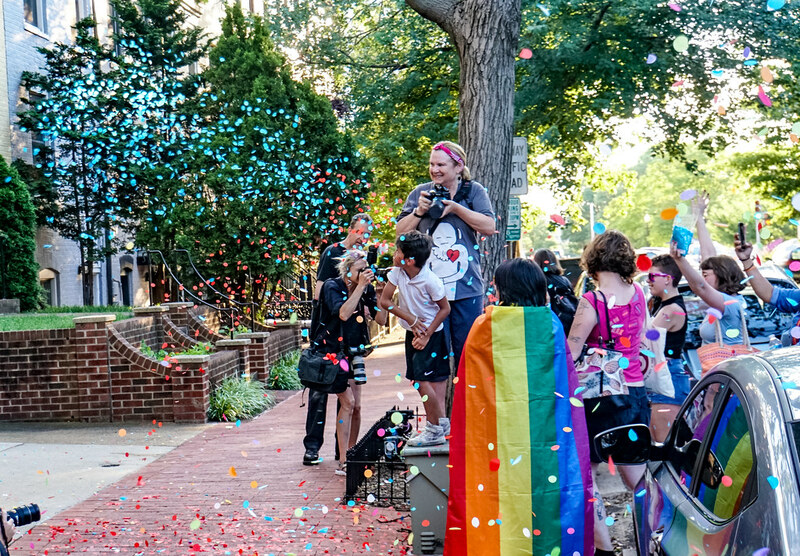 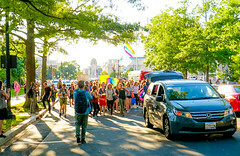 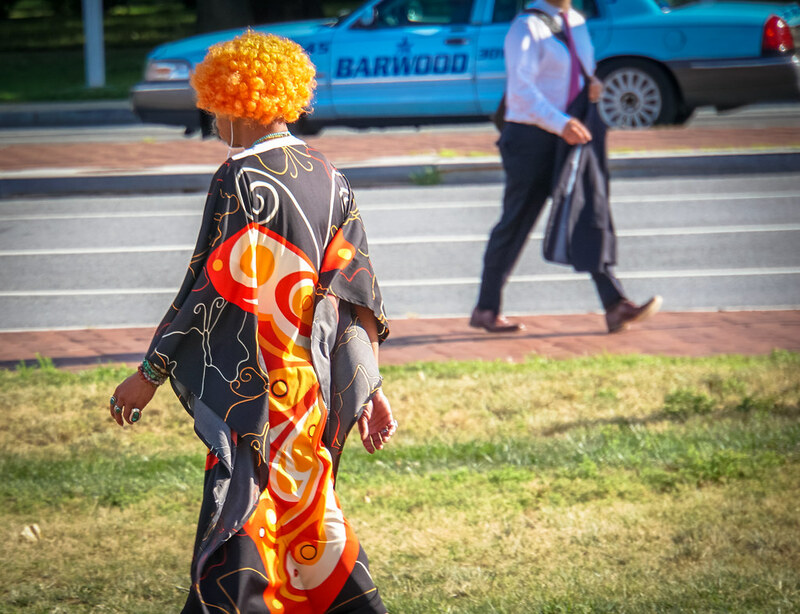 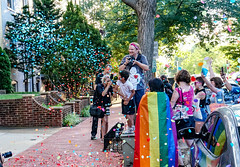 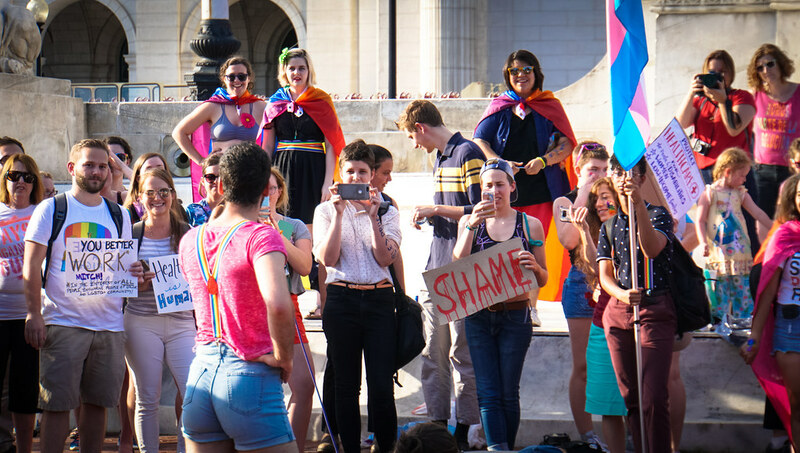 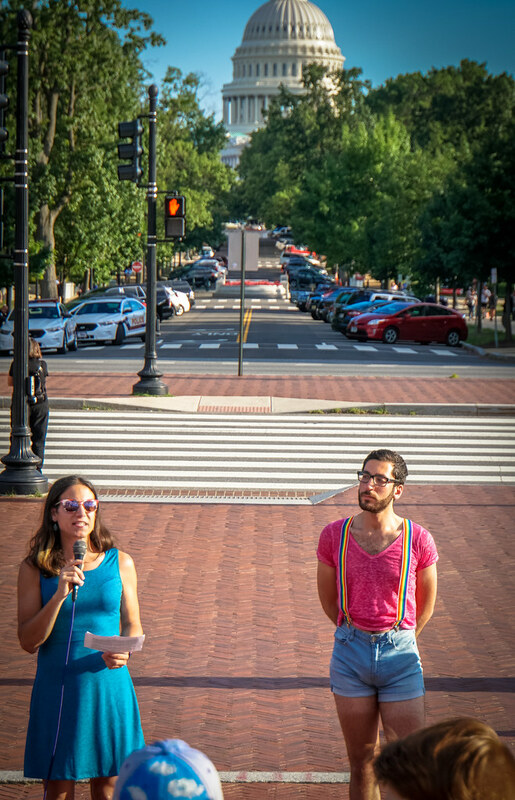 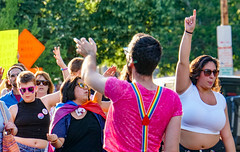 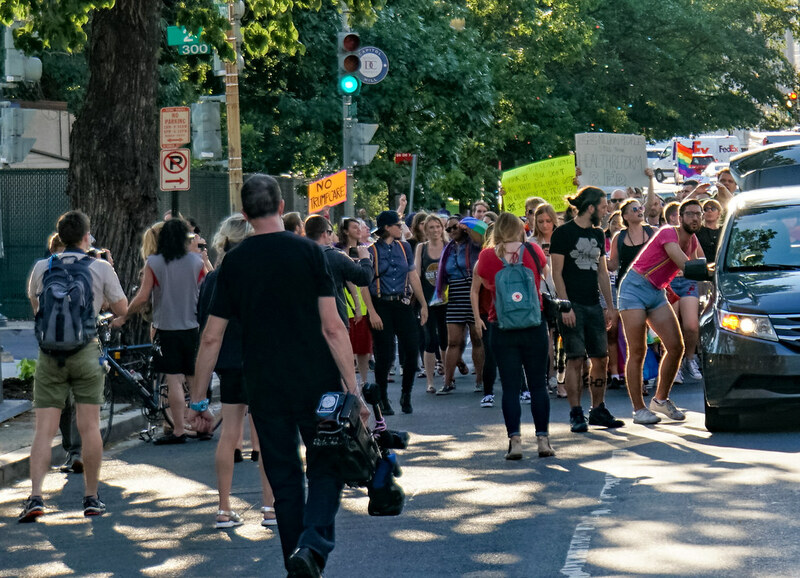 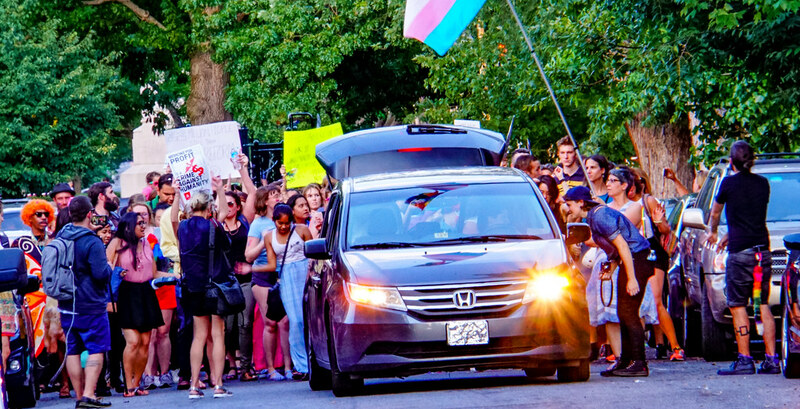 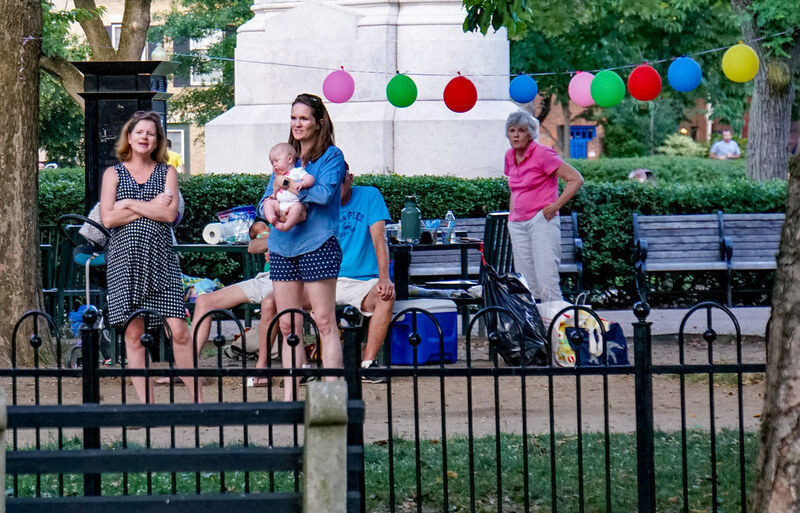 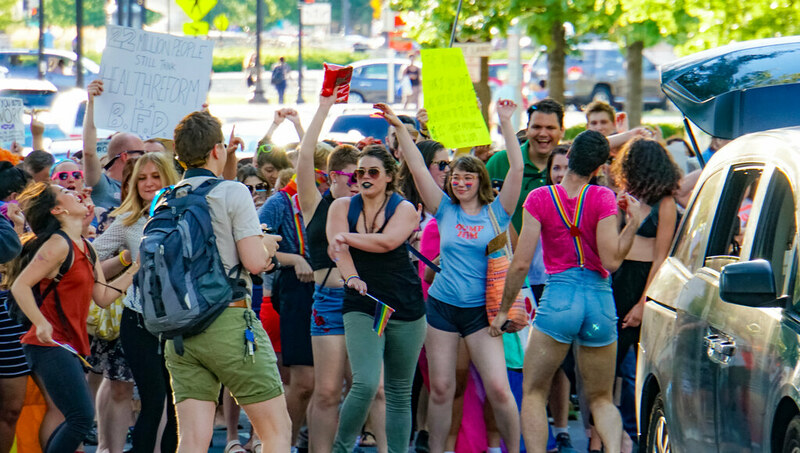 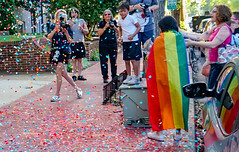 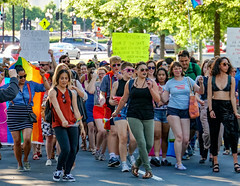 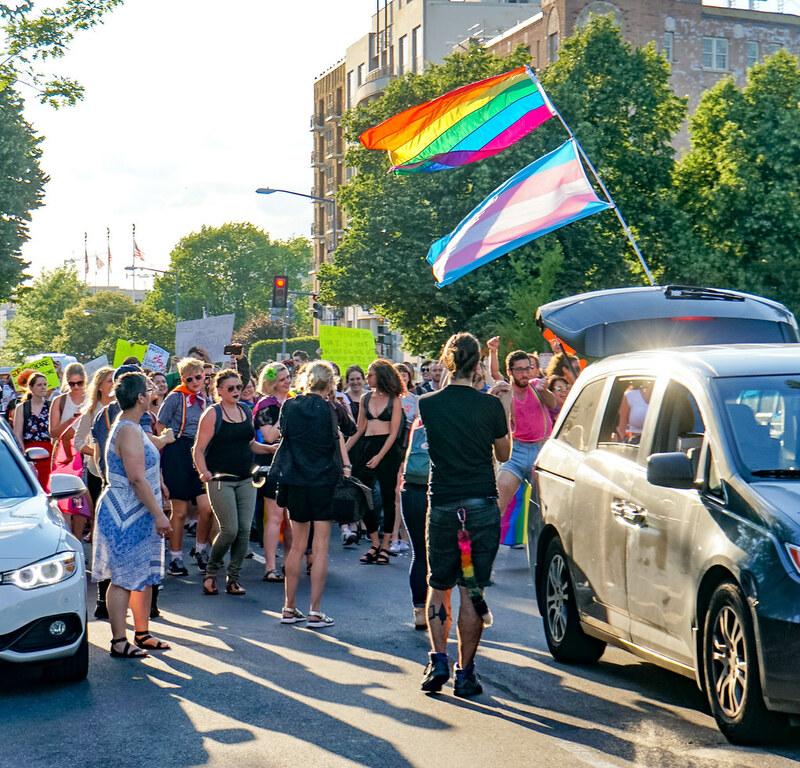 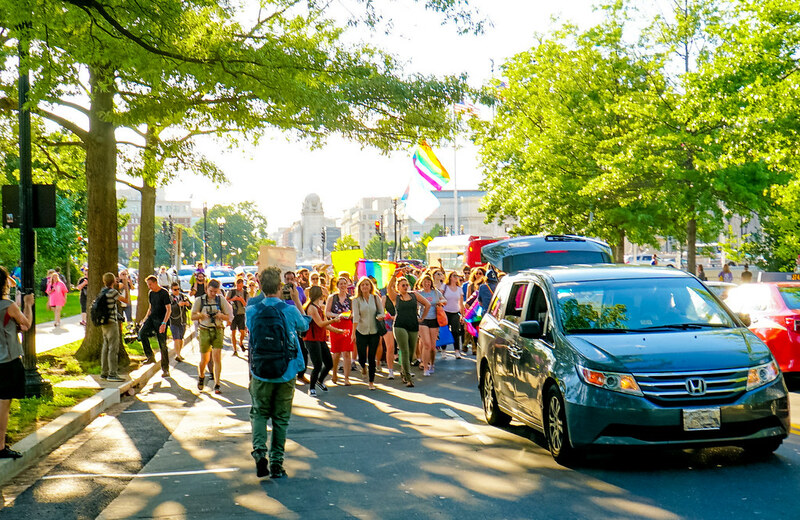 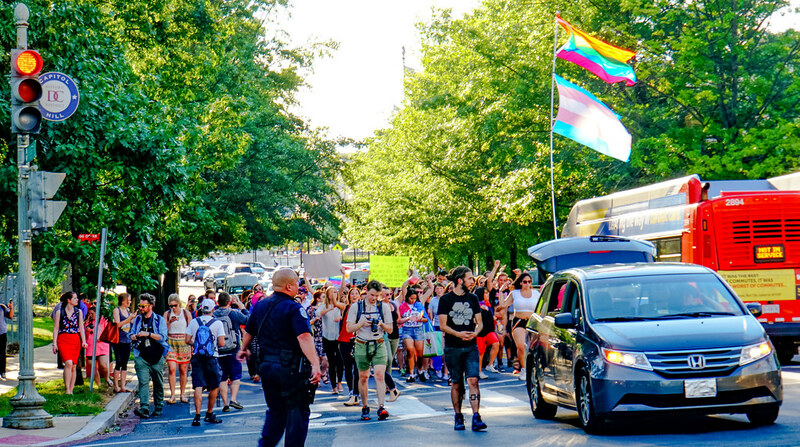 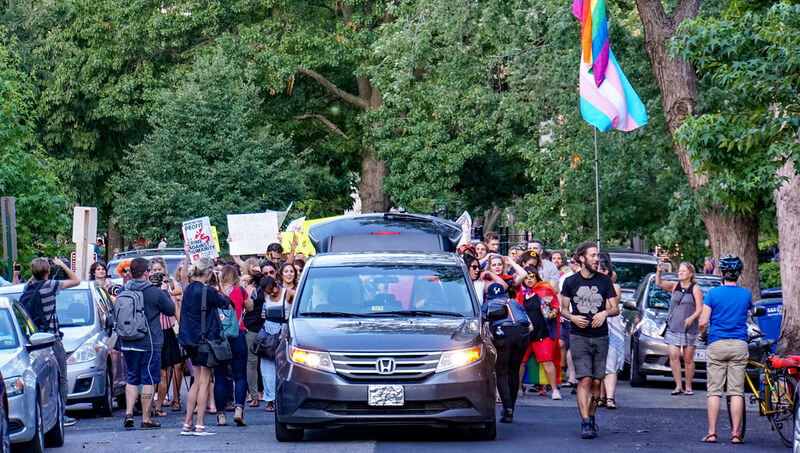 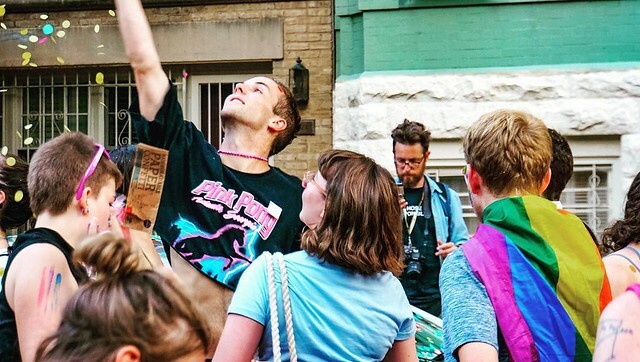 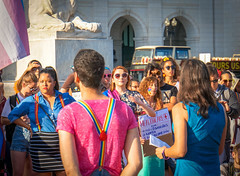 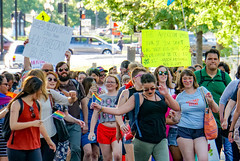 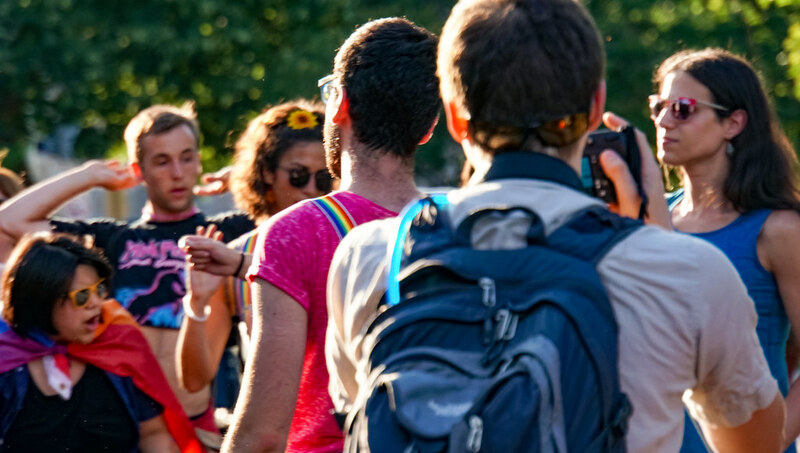 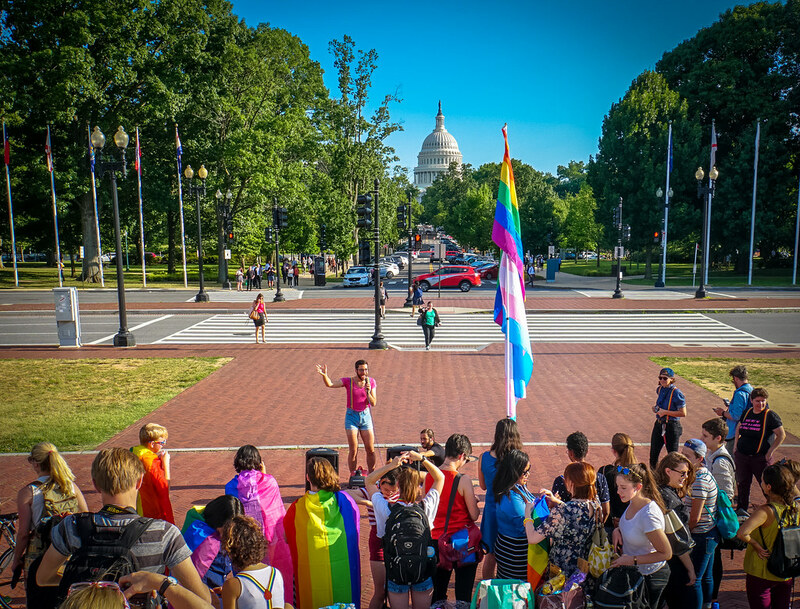 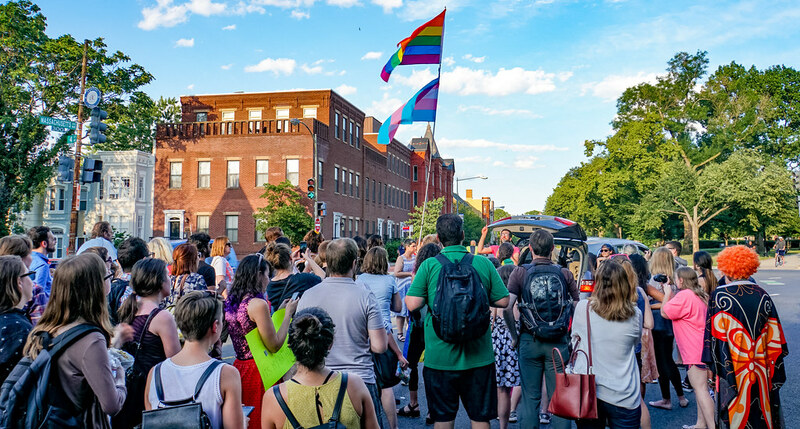 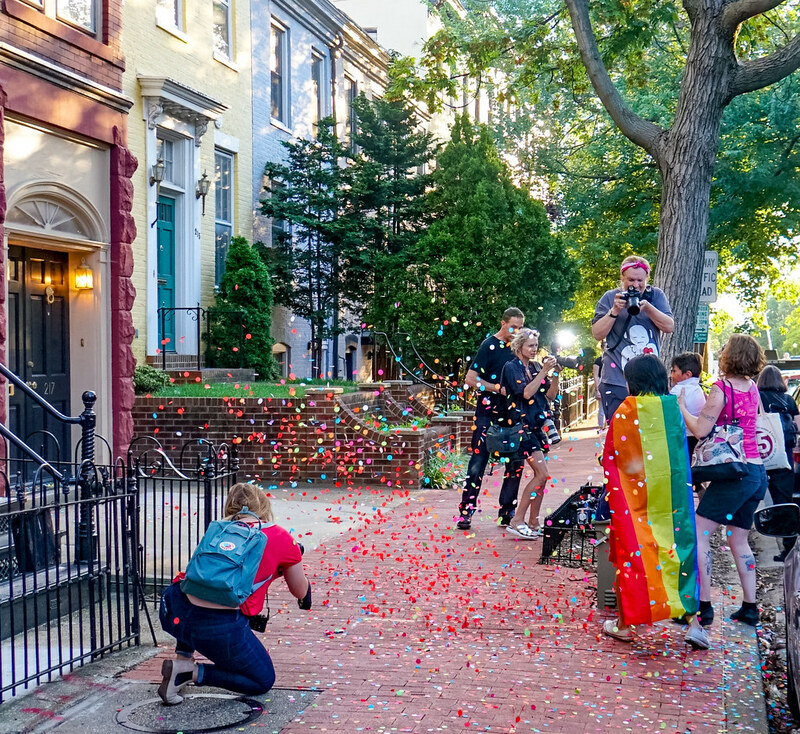 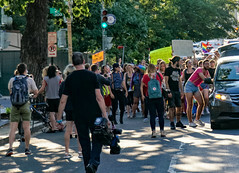 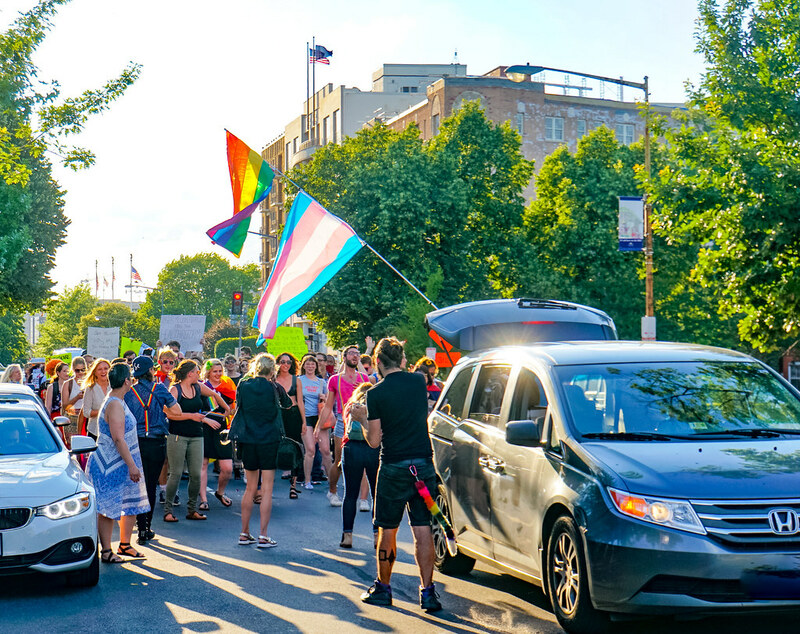 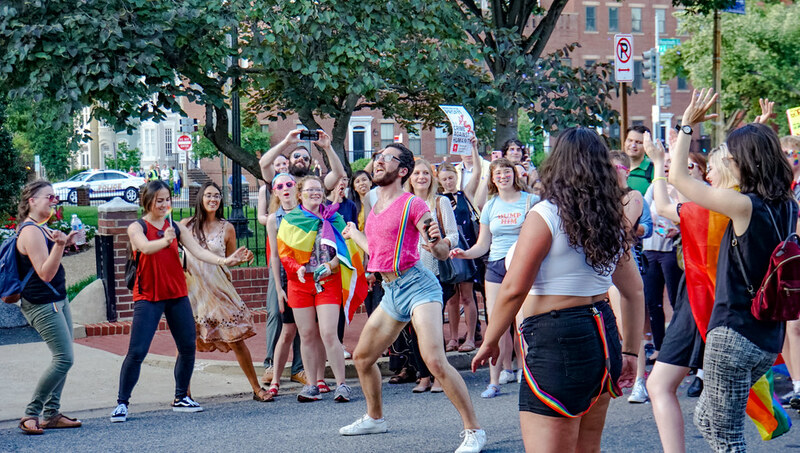 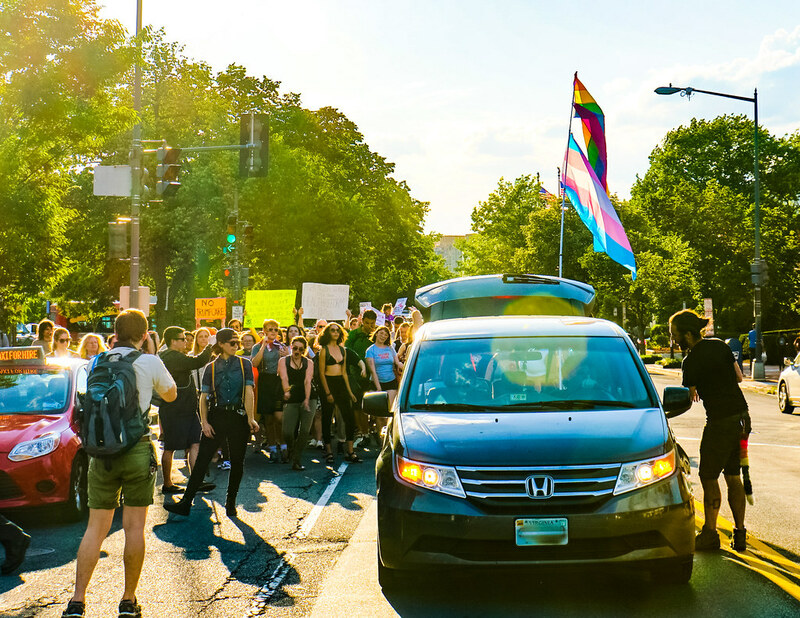 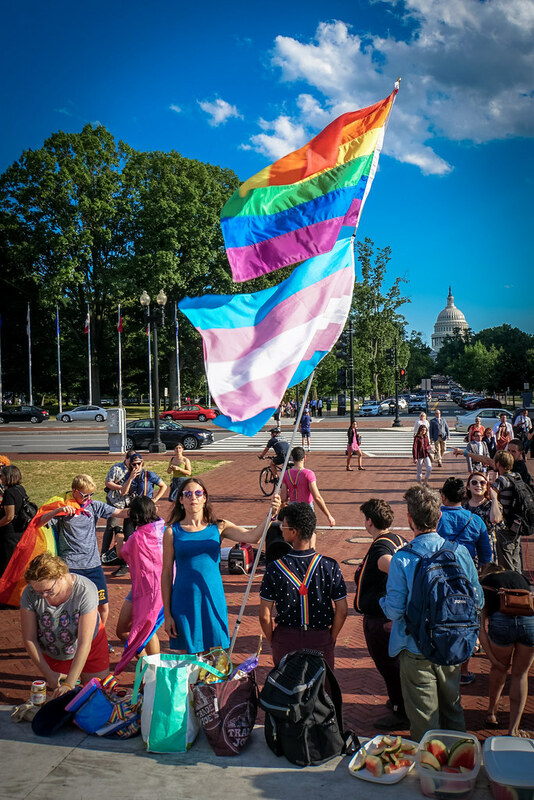 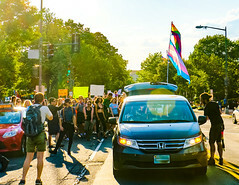 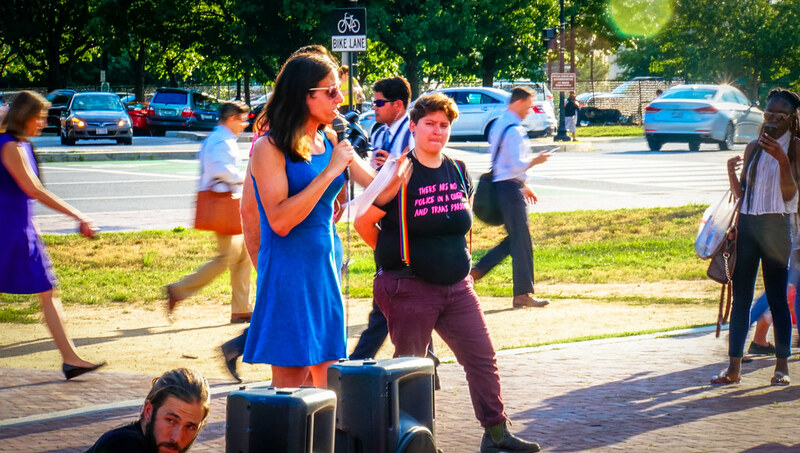 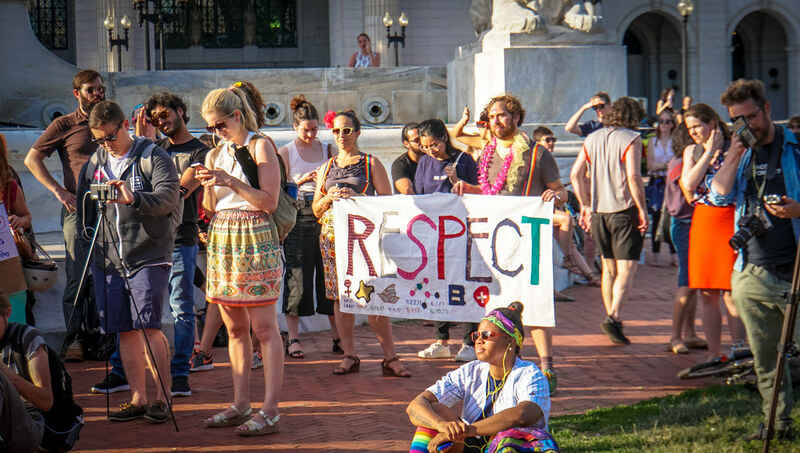 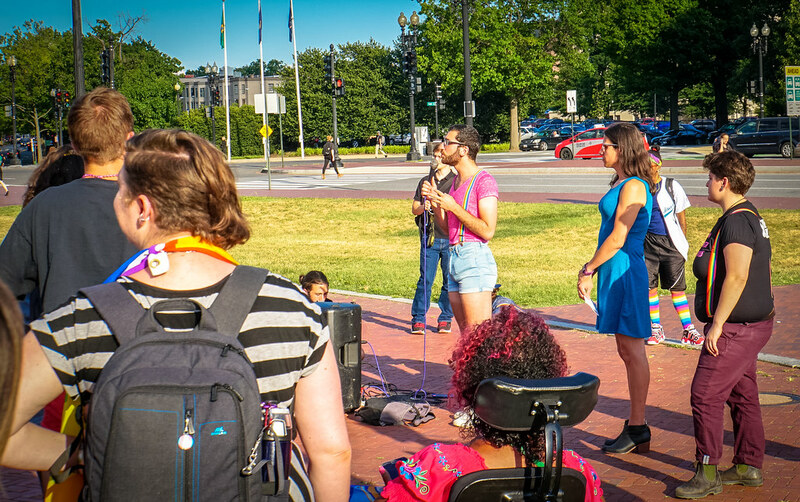 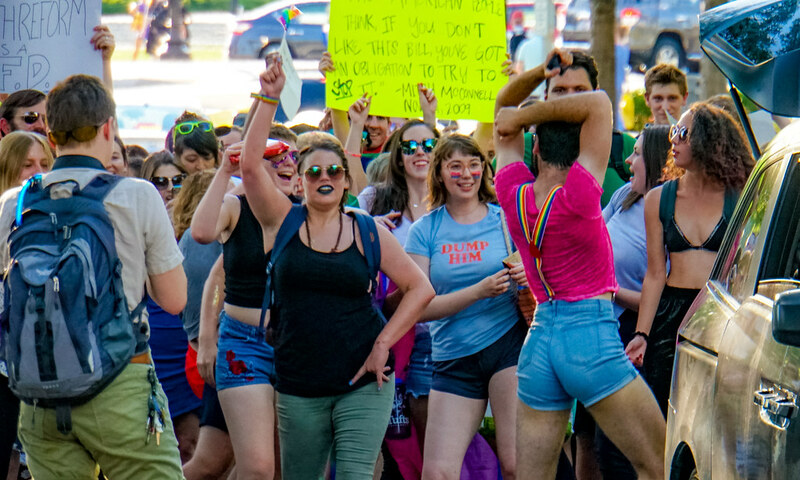 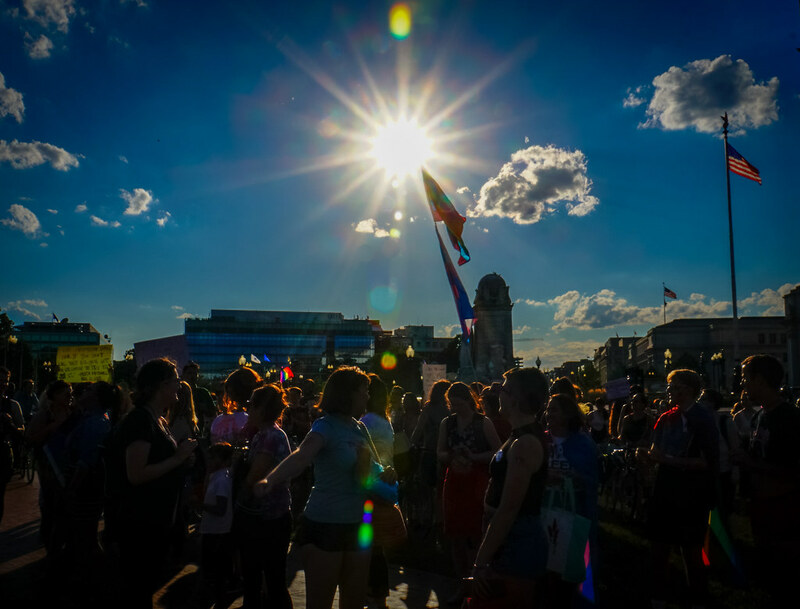 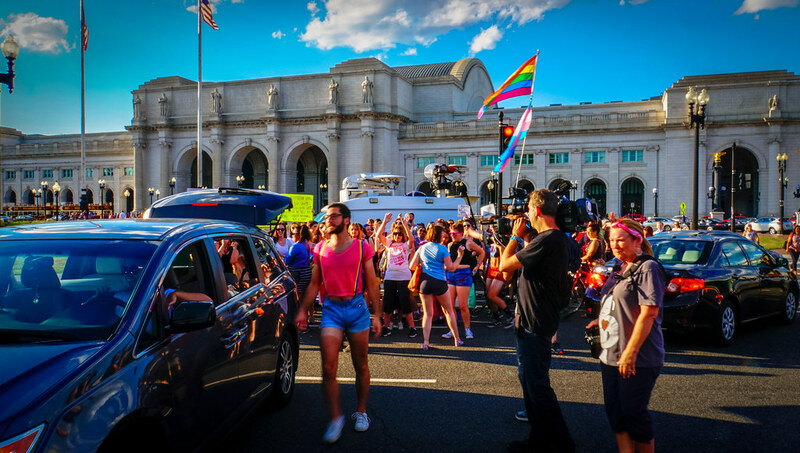 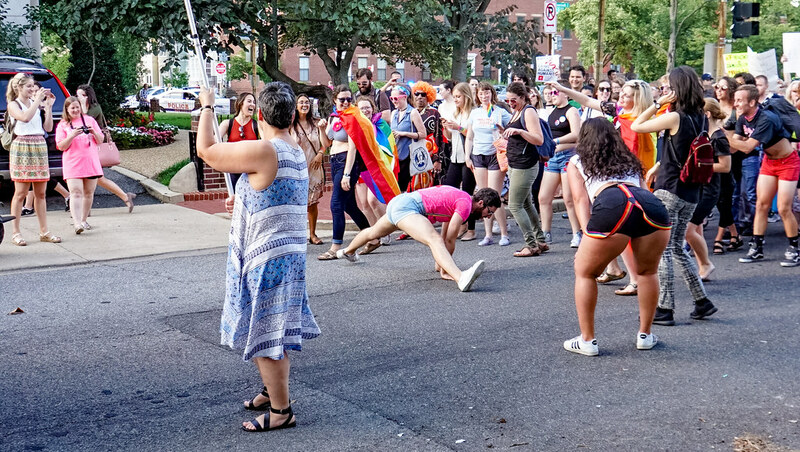 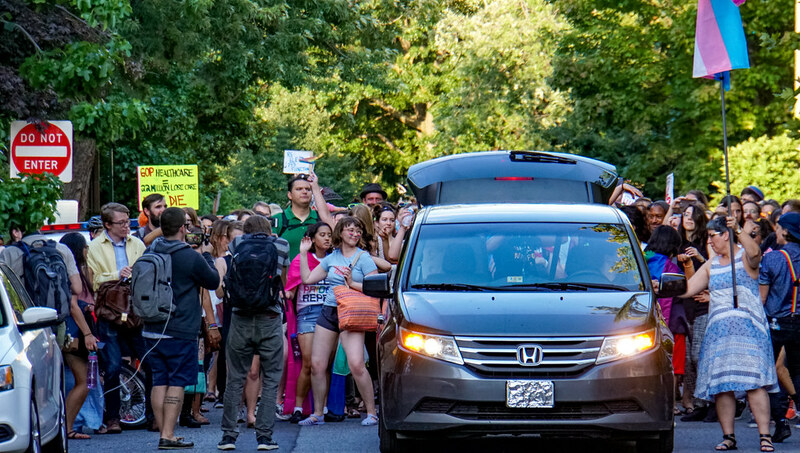 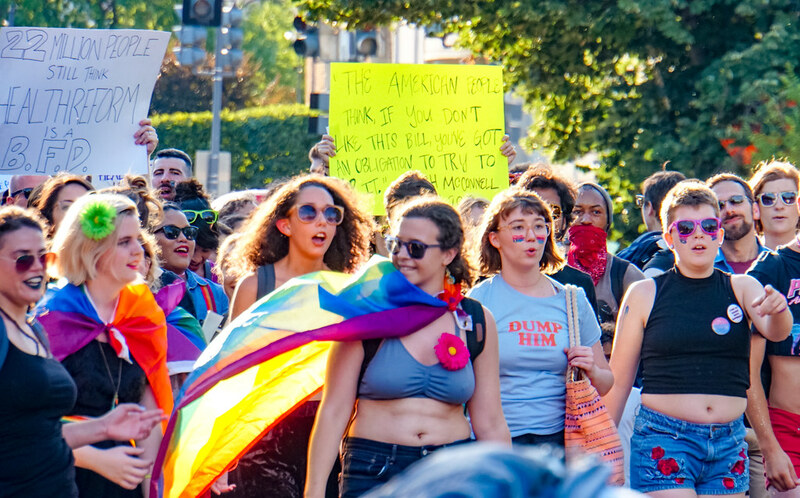 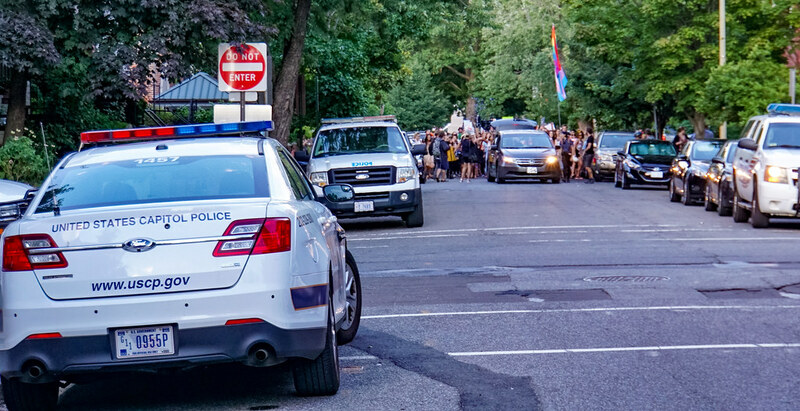 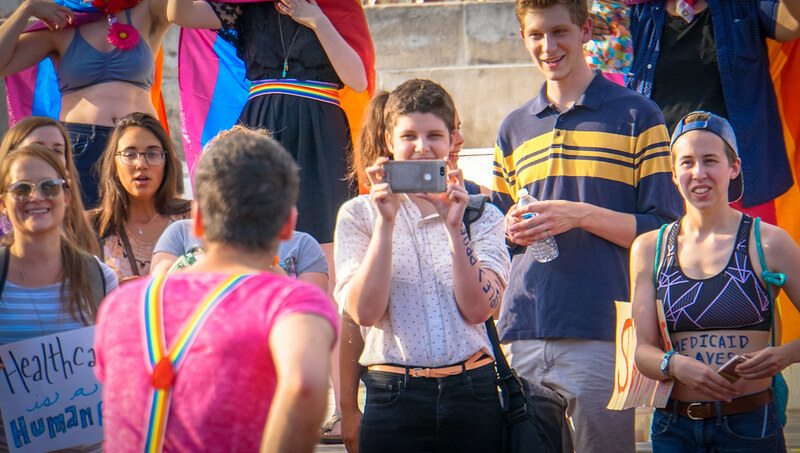 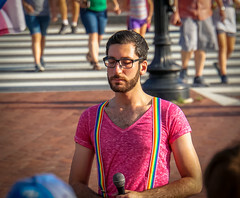 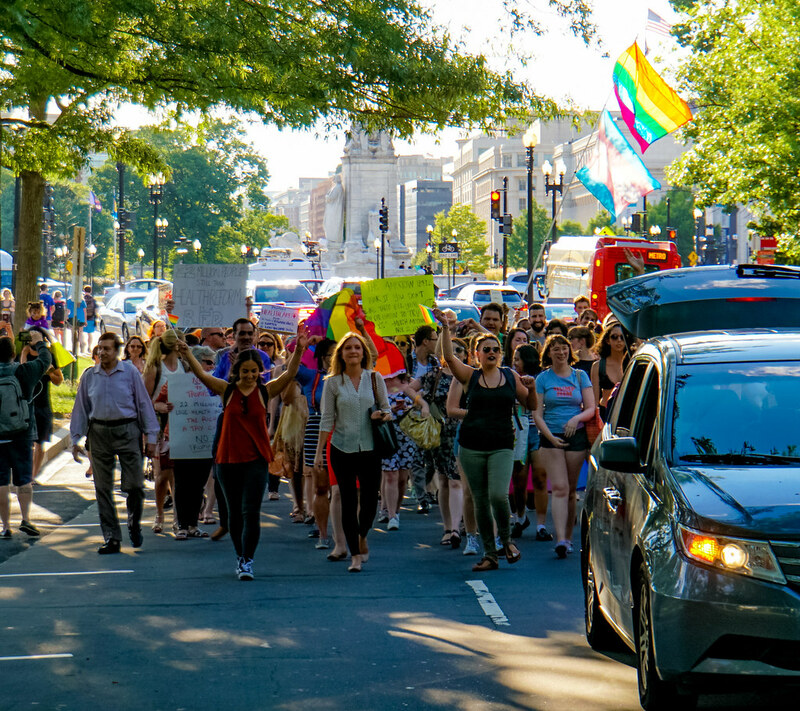 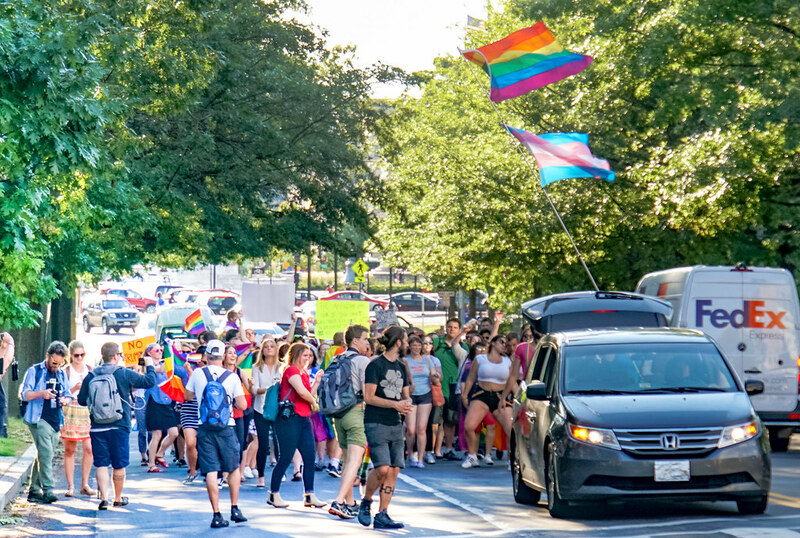 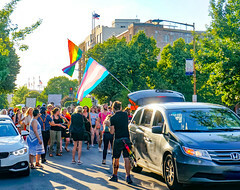 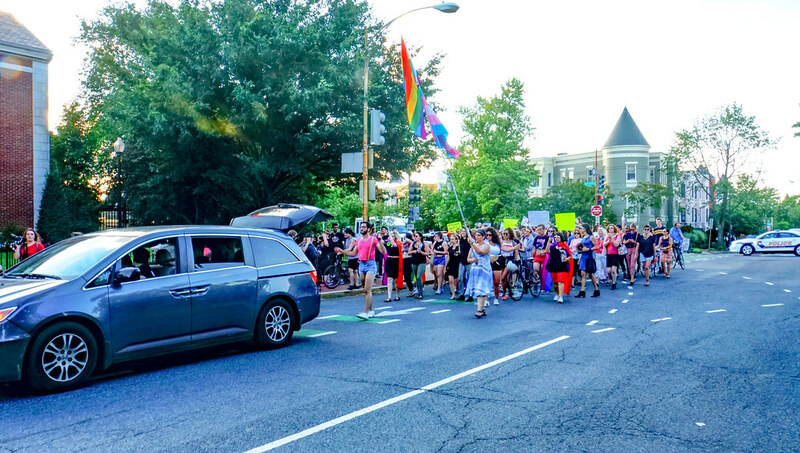 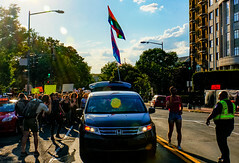 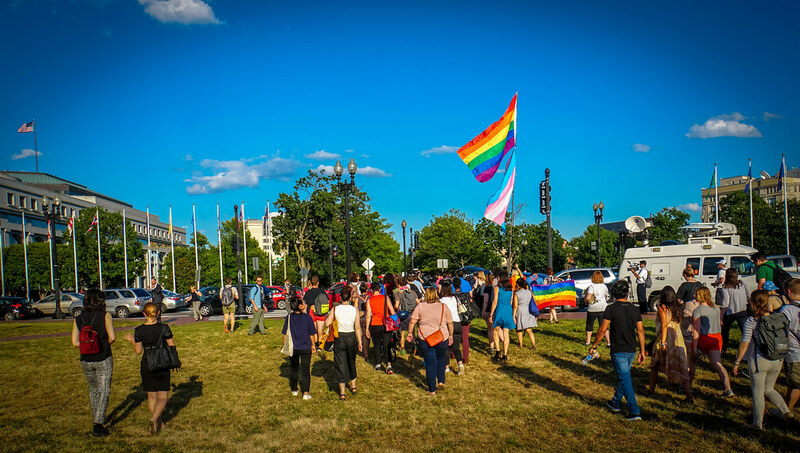 – Hosted by Werk For Peace (@WerkForPeace) dance party, that ended at… Mitch McConnell’s house. This is the third Werk for Peace event that I’ve attended and I so admire the leadership, courage, and creativity I see here, for the most pressing issues of our time. 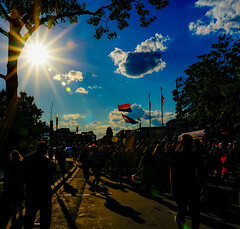 As courageous and innovative I have seen among people who have 100 times the resources, which makes sense, because innovation always happens in the out of the way places. 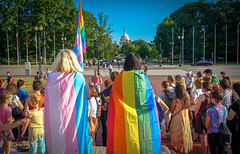 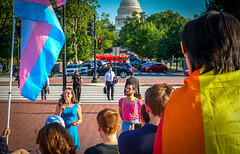 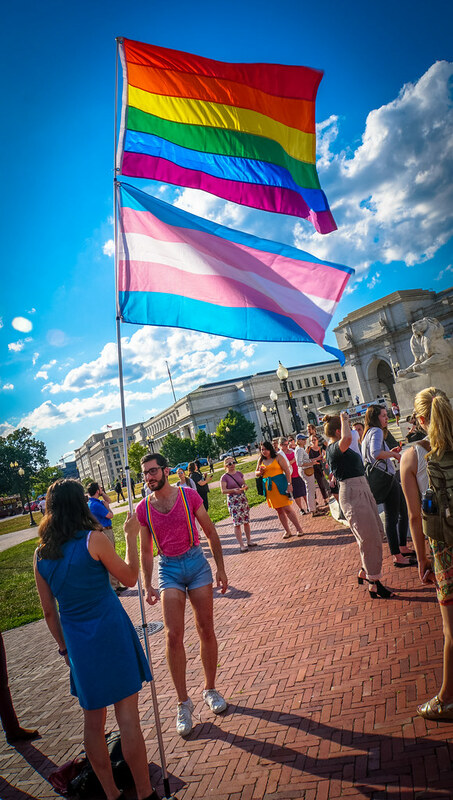 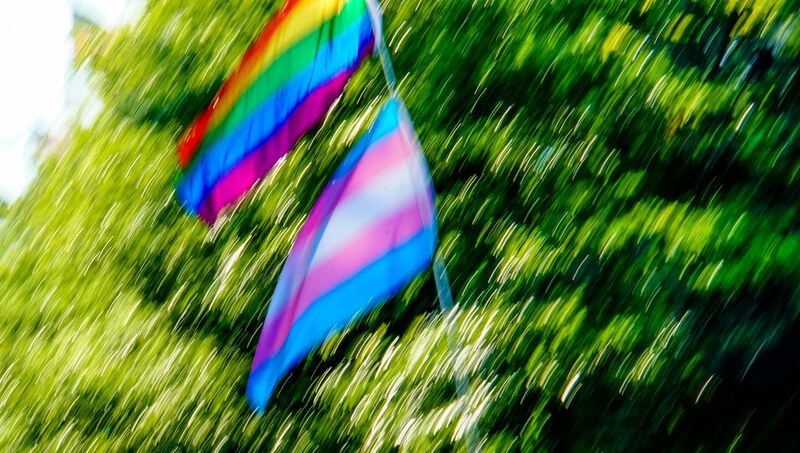 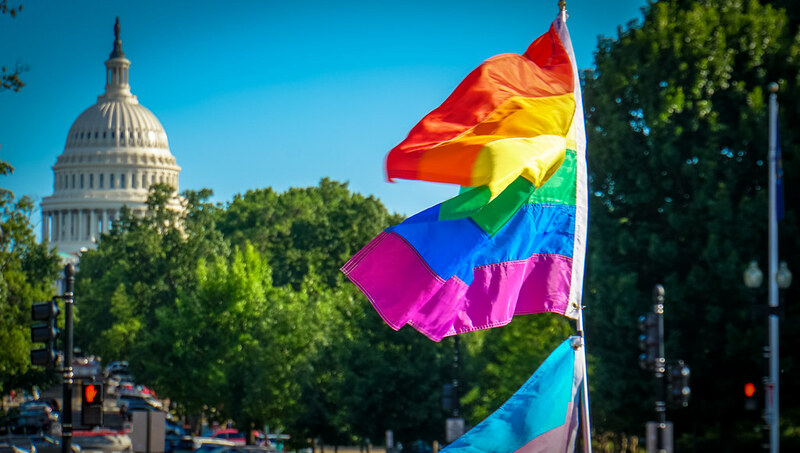 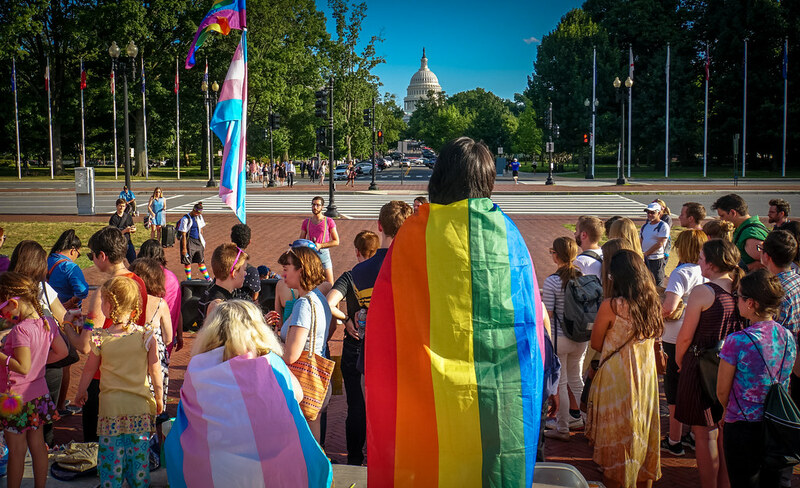 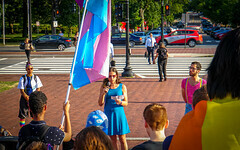 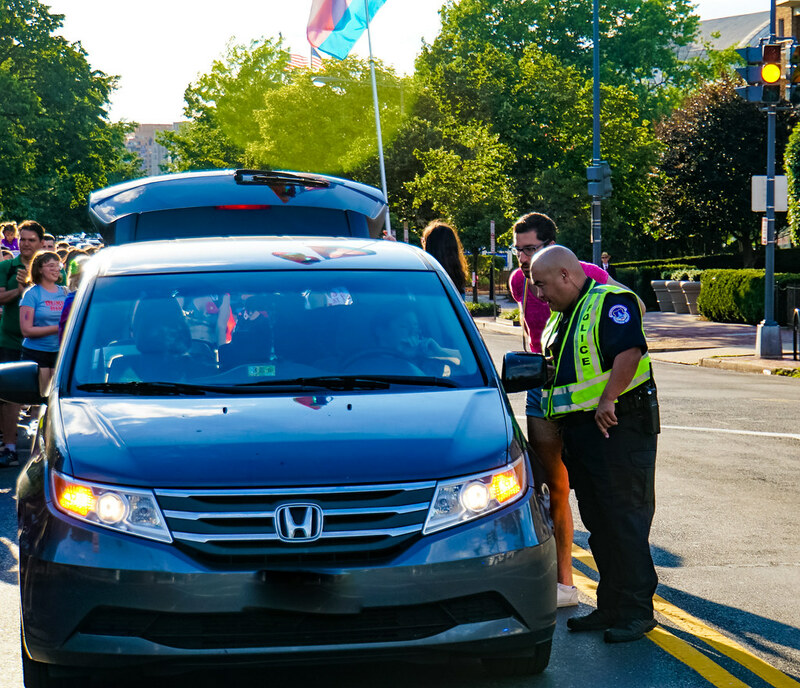 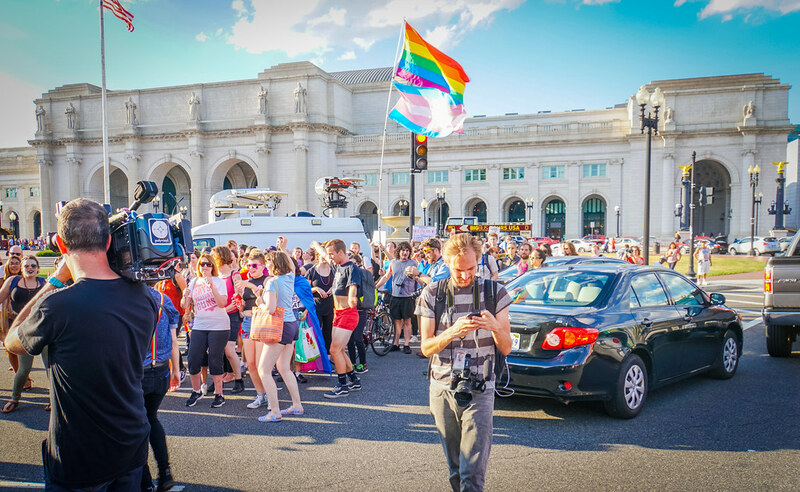 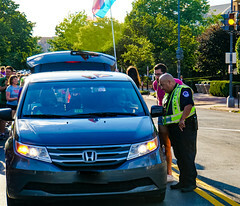 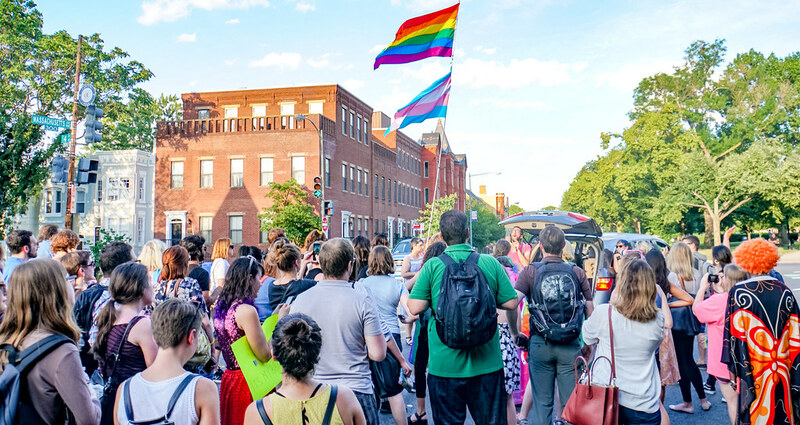 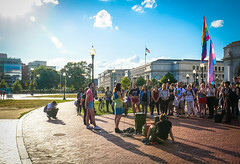 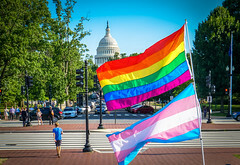 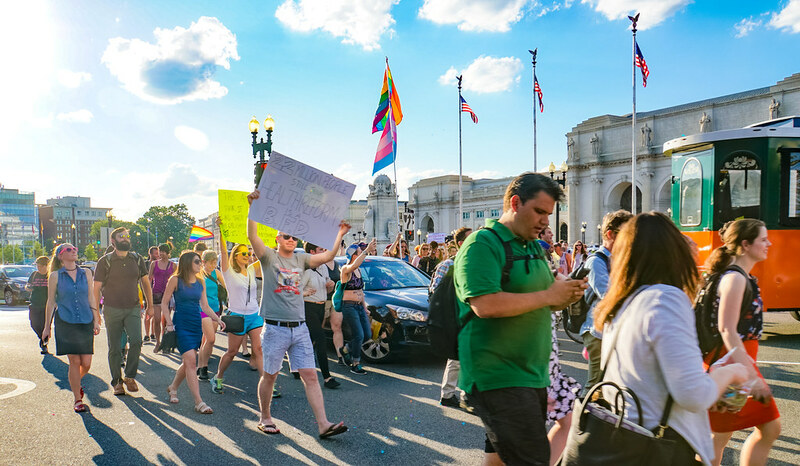 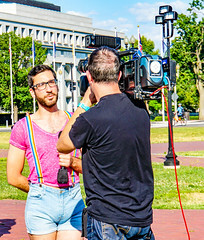 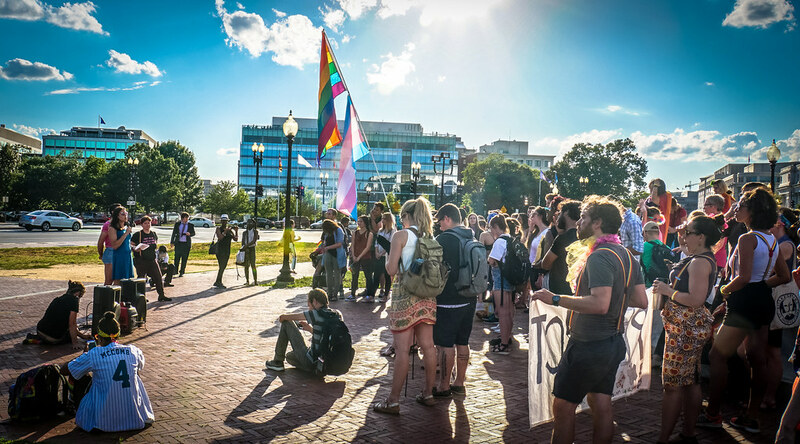 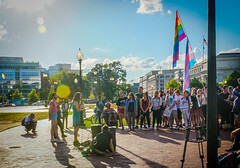 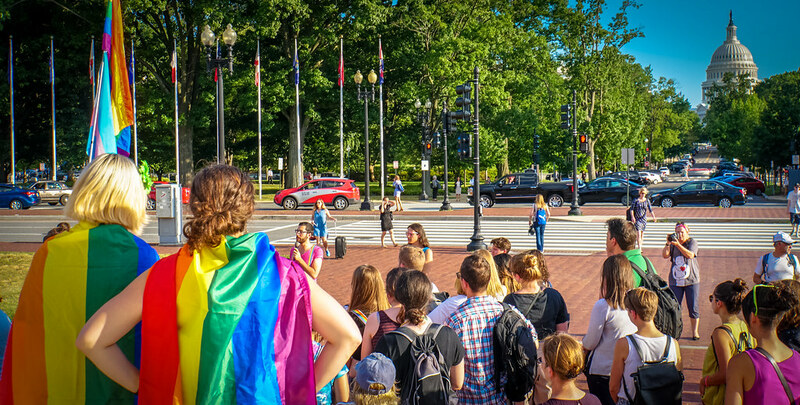 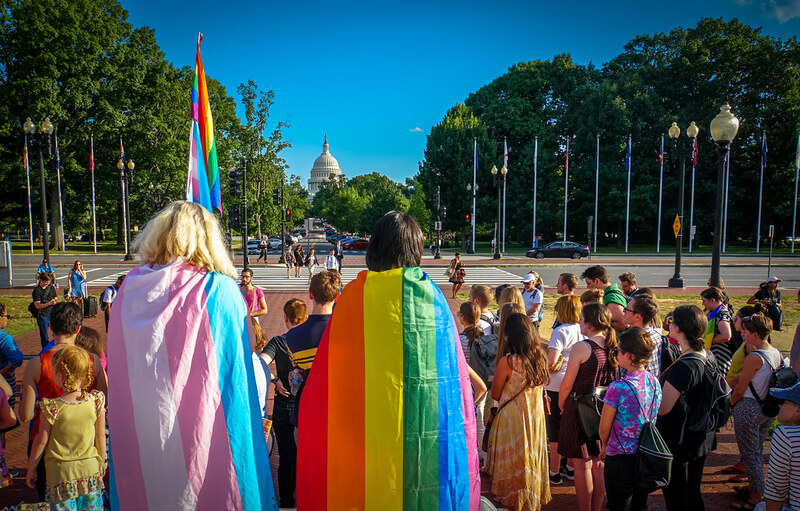 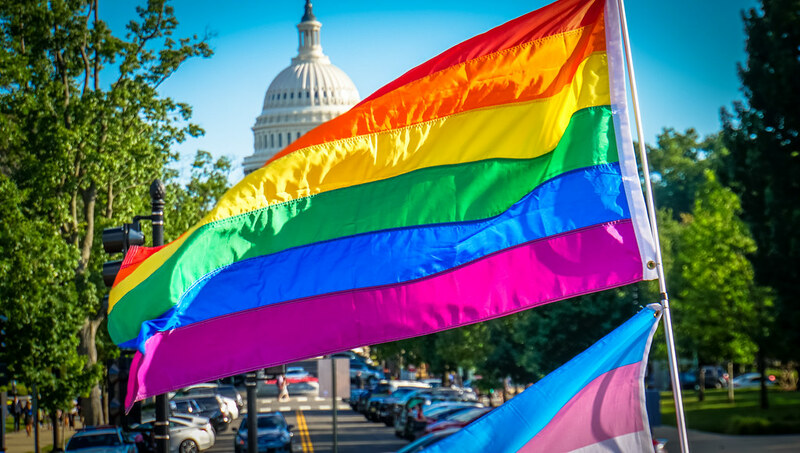 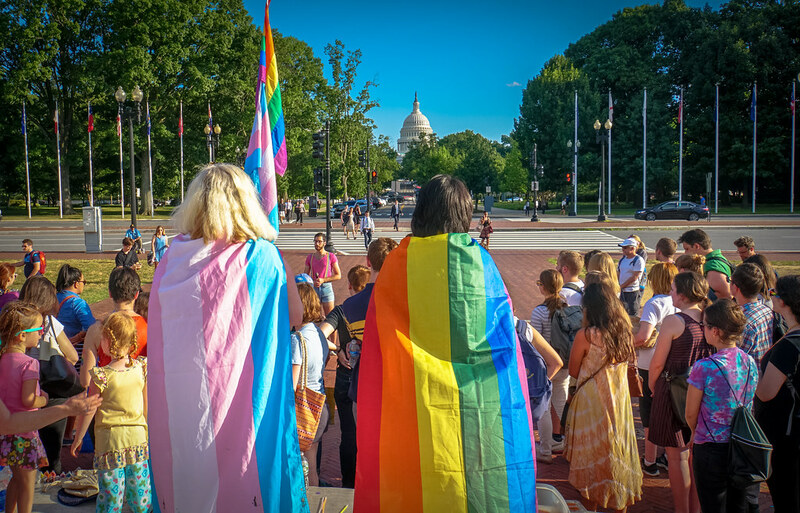 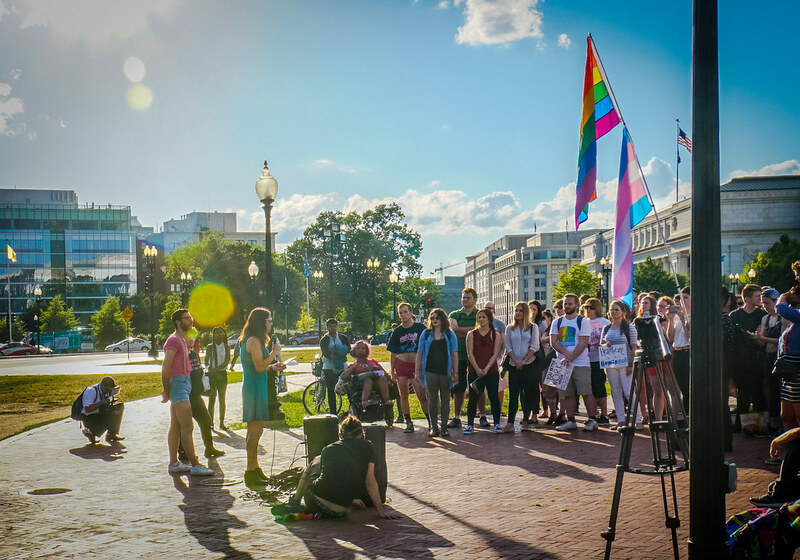 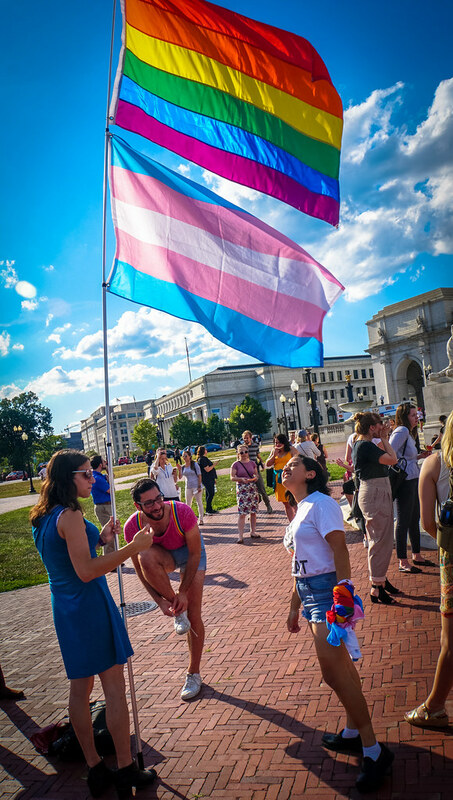 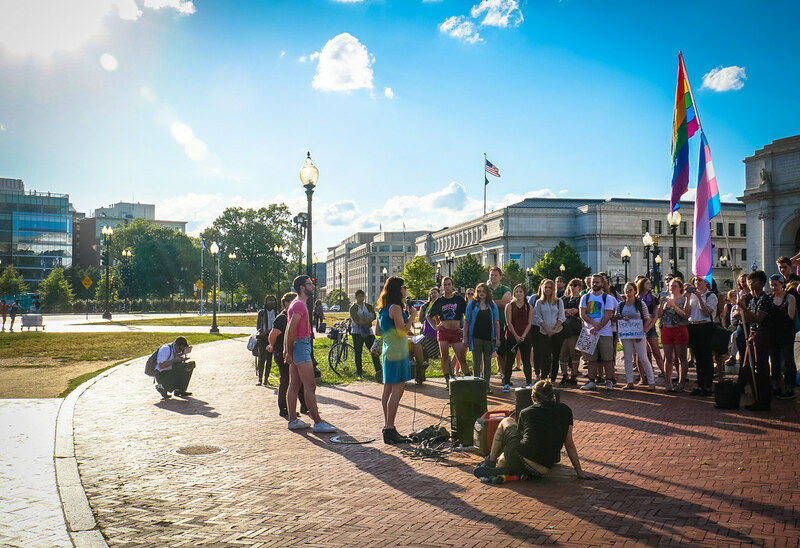 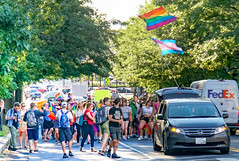 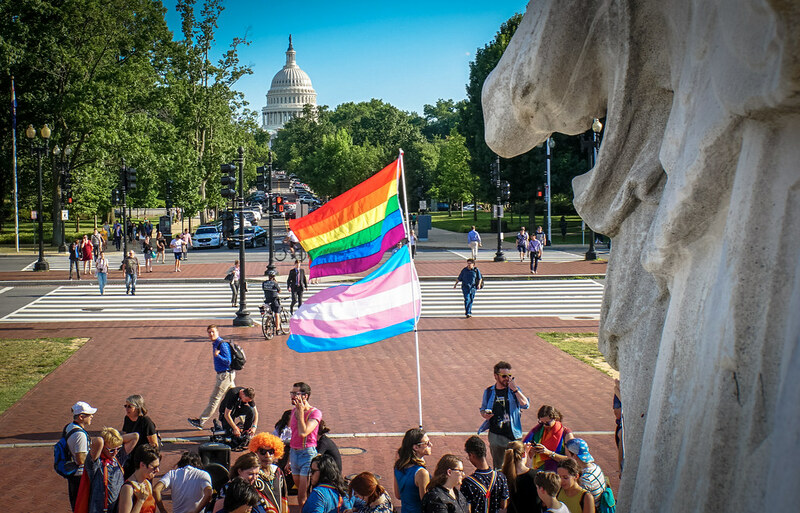 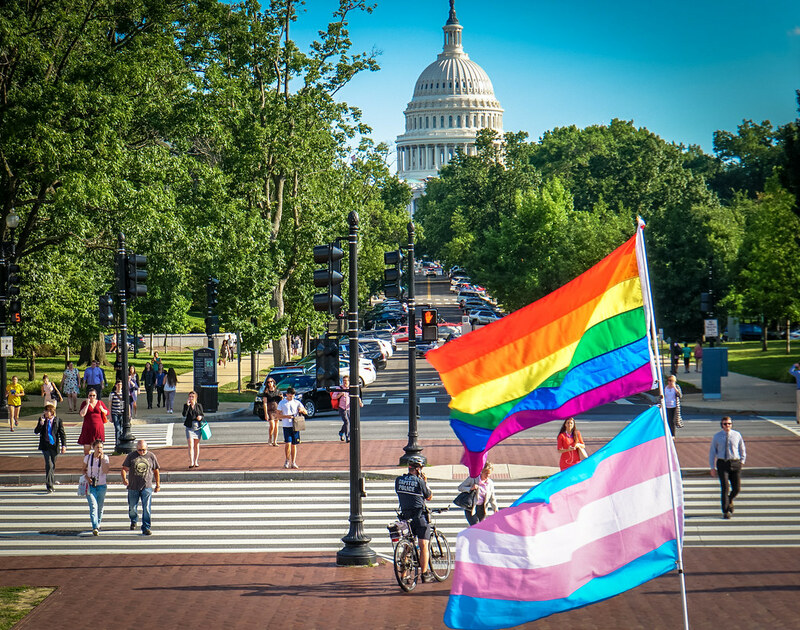 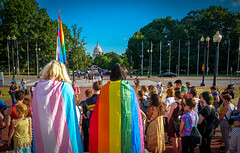 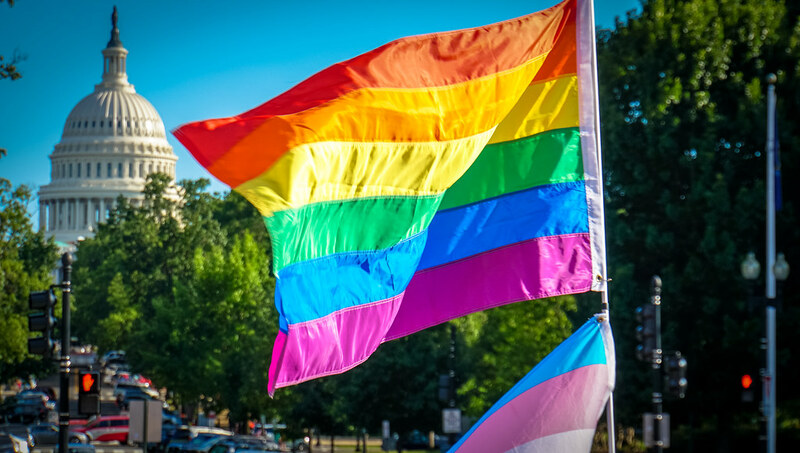 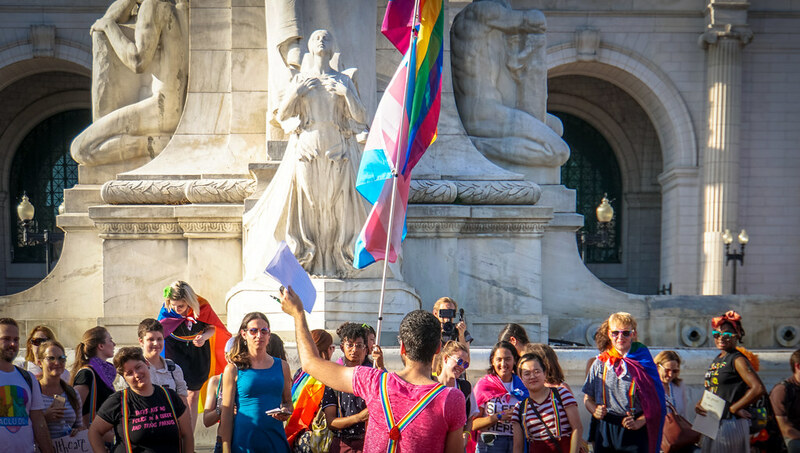 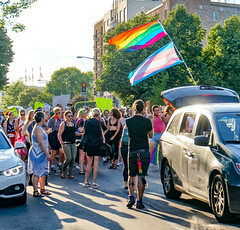 Note also the LGBTQ visibility and TransVisibility that this group brings to our nation’s capital. 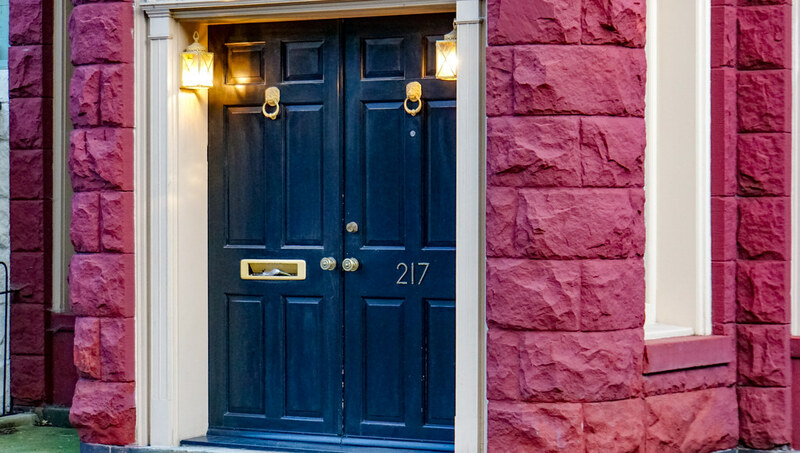 We know that the drive to be visible and live in one’s identity is one of the most powerful in human existence, so powerful that when taken away people may lose the will to live altogether. 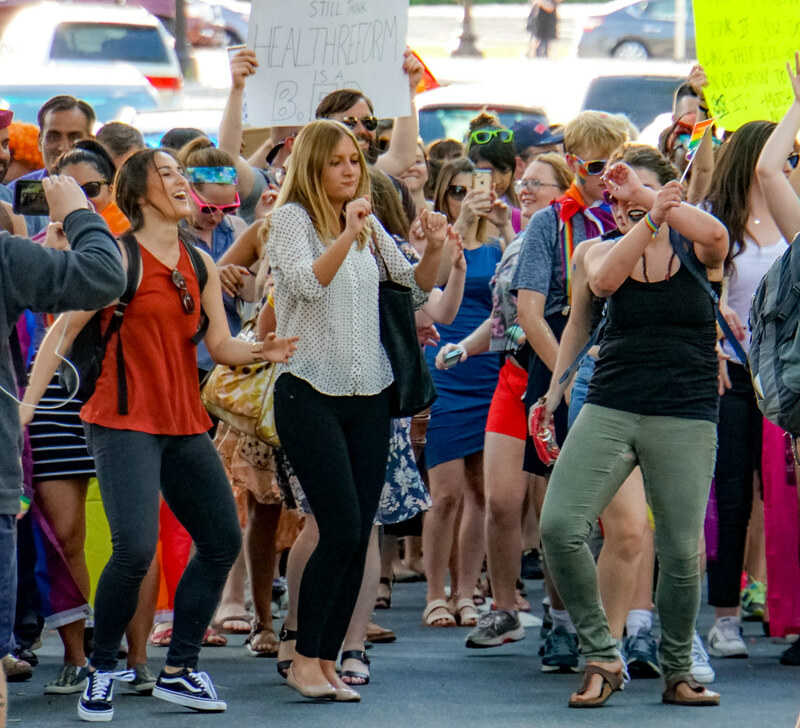 From that perspective, a dance party like this saves lives, too. 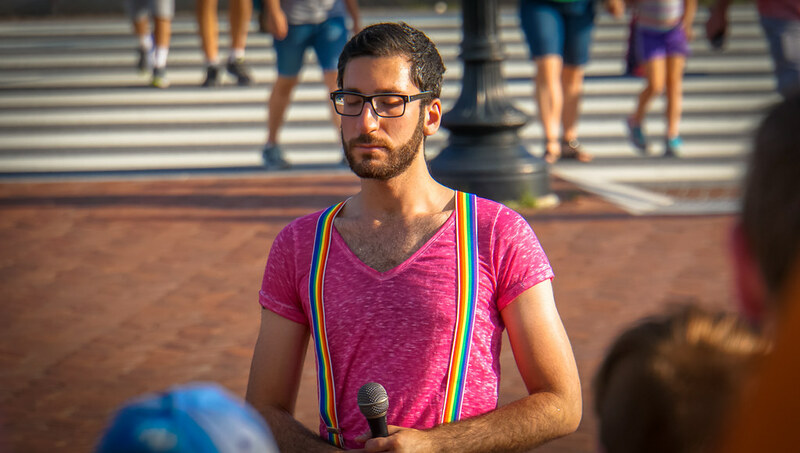 Each event I have attended begins with a ritual, a moment of silence for those who were lost to murder (Pulse Nightclub and countless other violent acts), or in this case, neglect, of the health care system, which has probably resulted in more death than many Pulse nightclub massacres. During the moment, I reflected on what I saw while I was in training and how it moved my generation of physicians to change everything, which is what we are now doing. 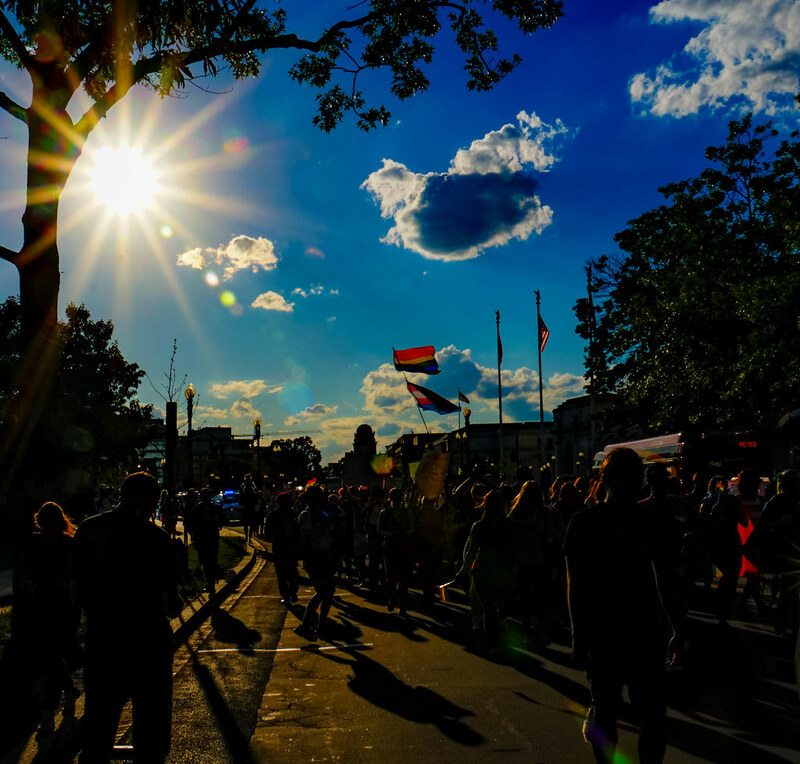 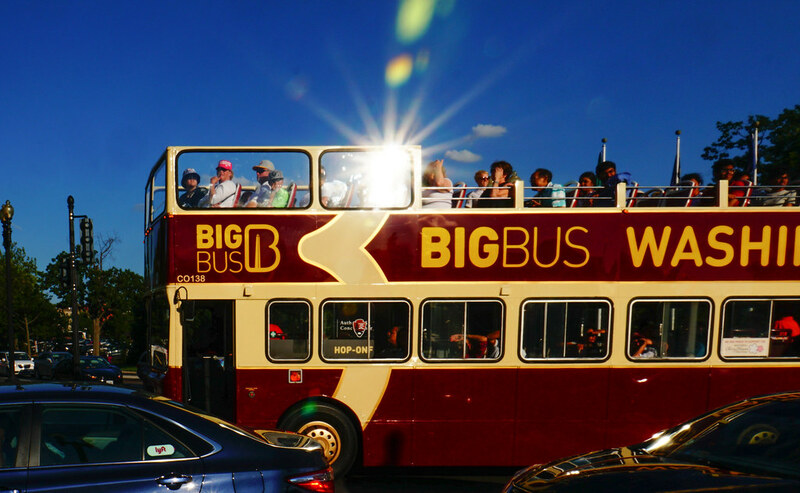 Why would we do anything else? 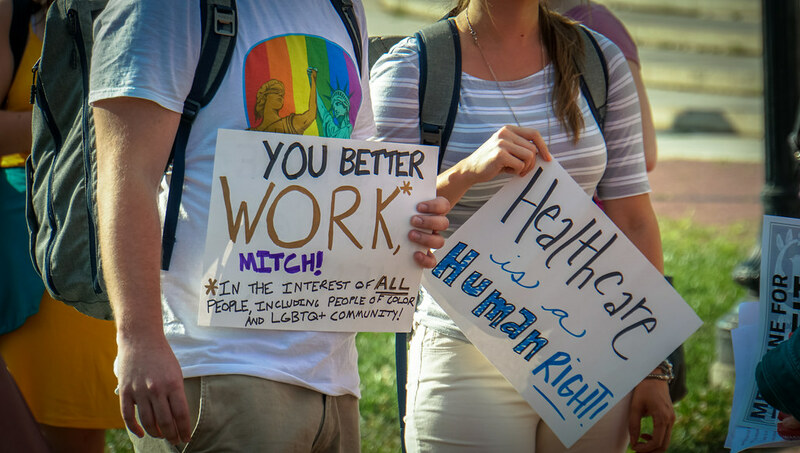 We’re here for health, for all of the people we serve, and their long, healthy, productive lives. 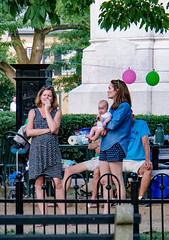 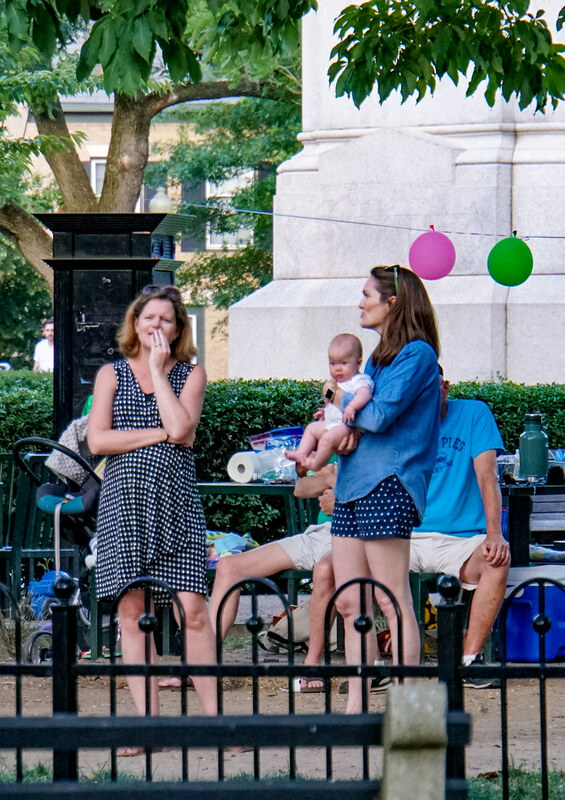 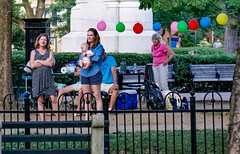 Some people come to events like this for the dancing. 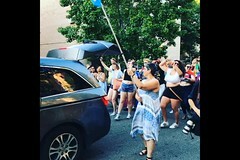 I come for the leadership 🙂 . 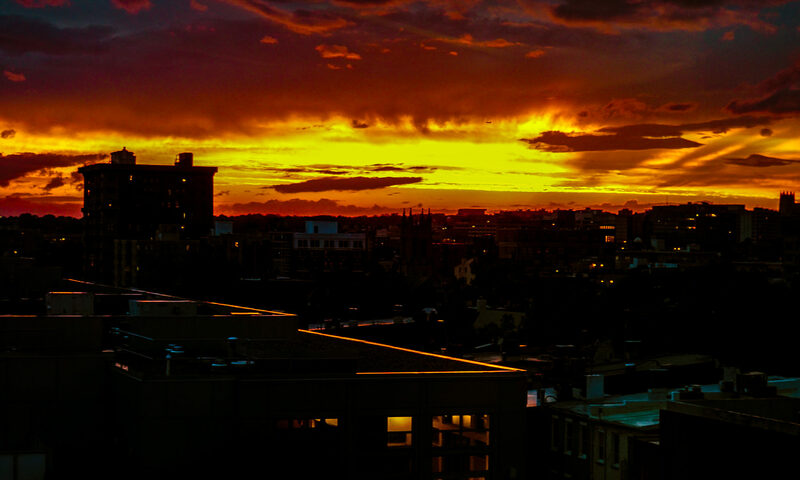 Rest of the photos below, enjoy, feel free to share. 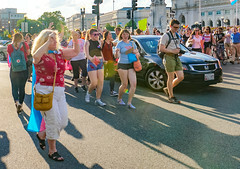 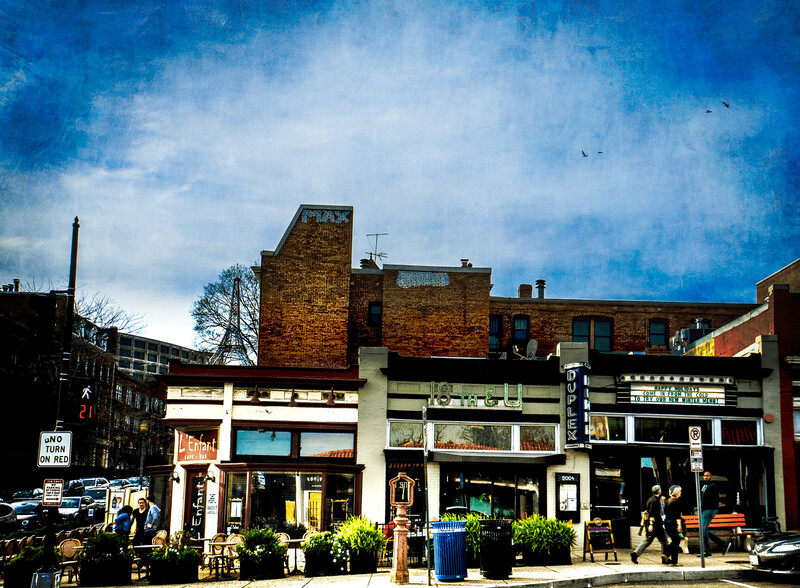 Next PostNext Thanks for publishing my photo @GayTimesMagazine, the best LGBT cities list has a major flaw, however :).